Another one down, for the glory of the Emperor. 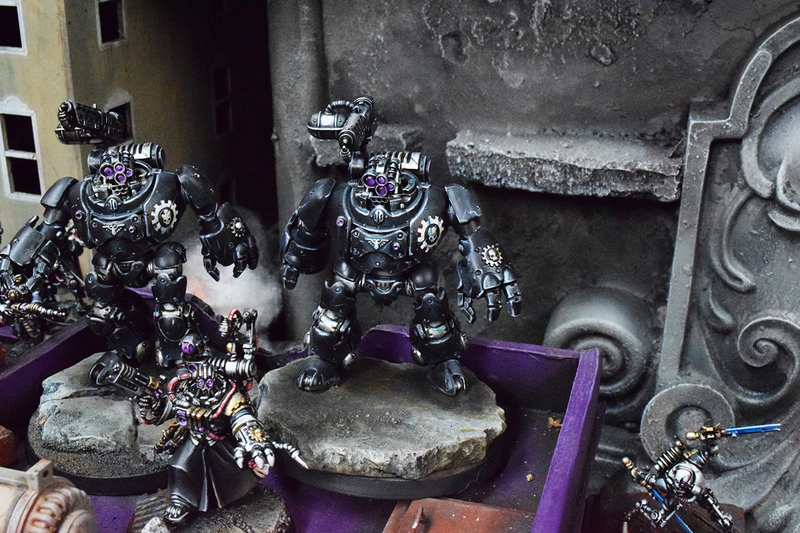 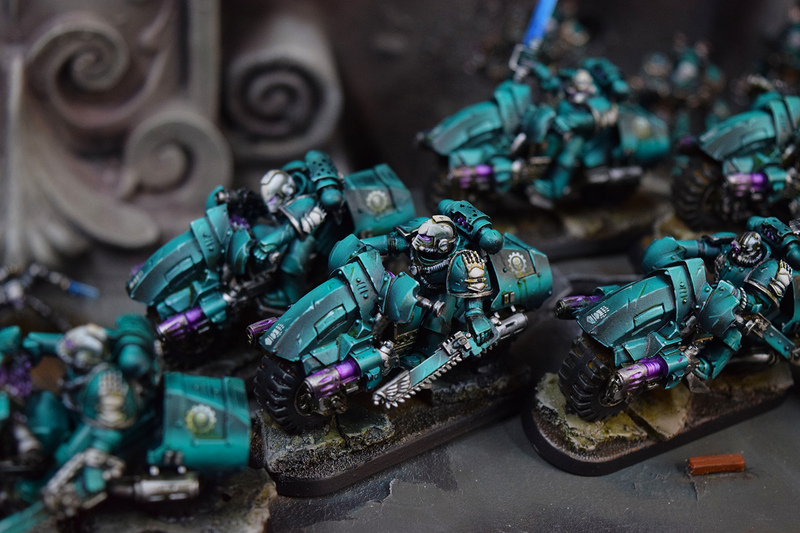 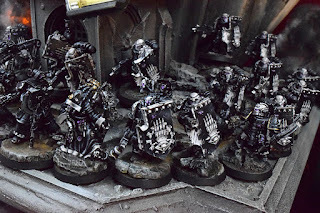 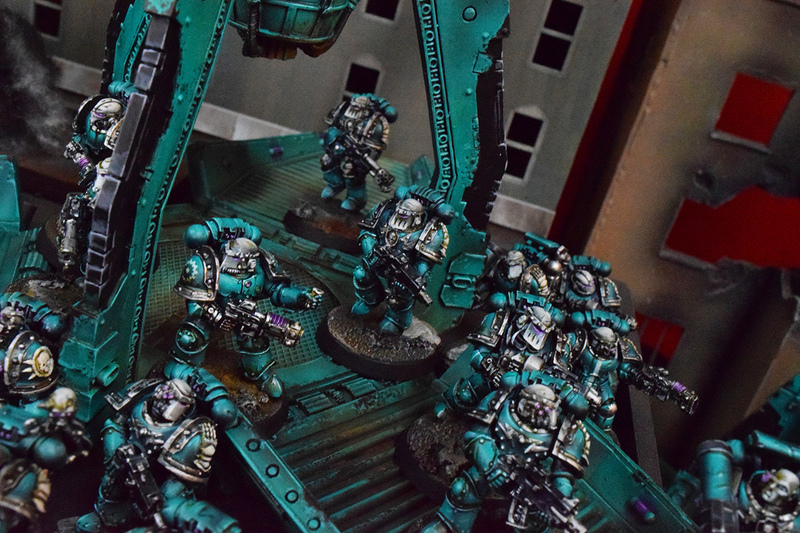 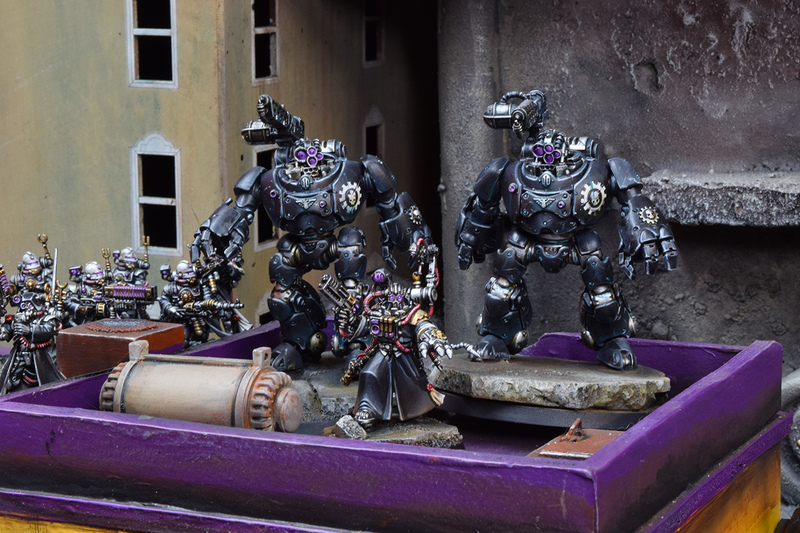 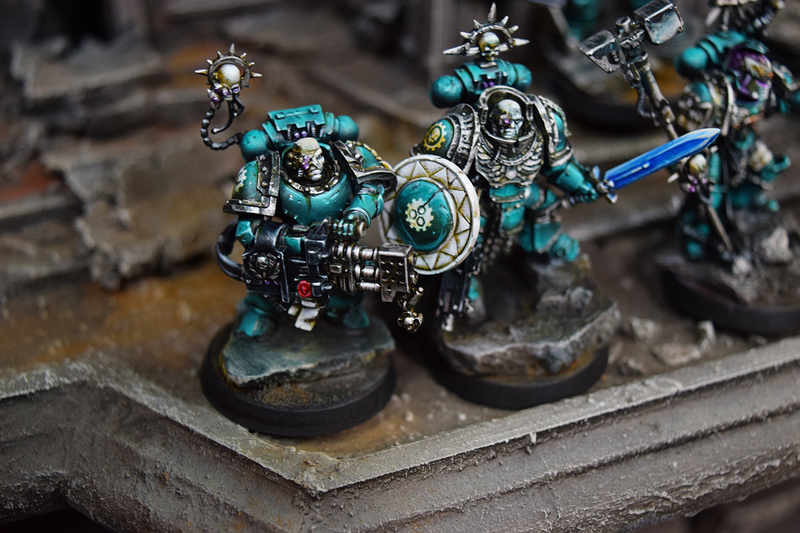 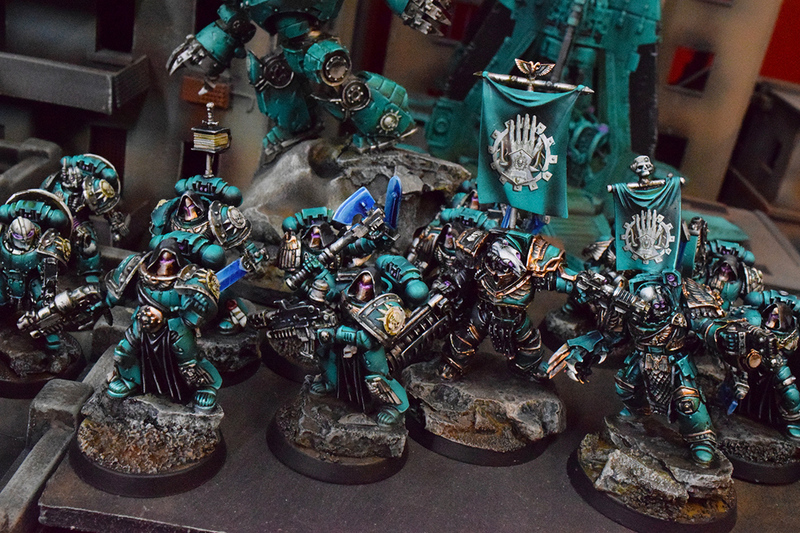 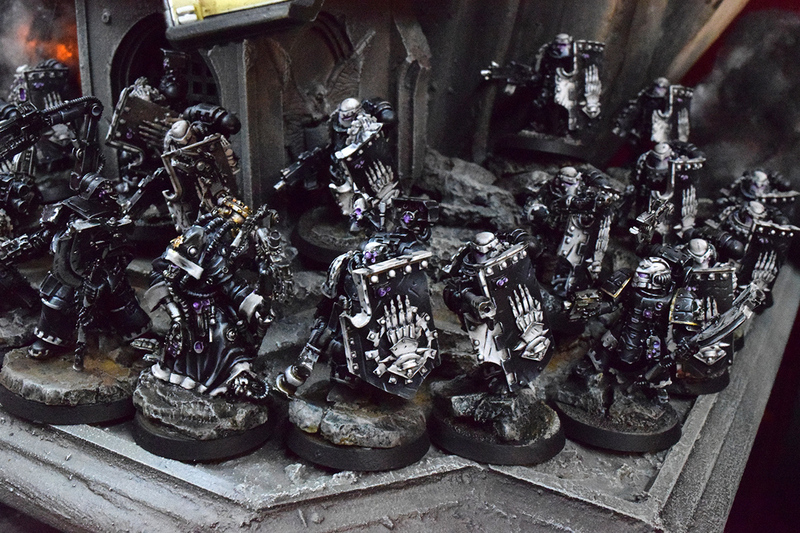 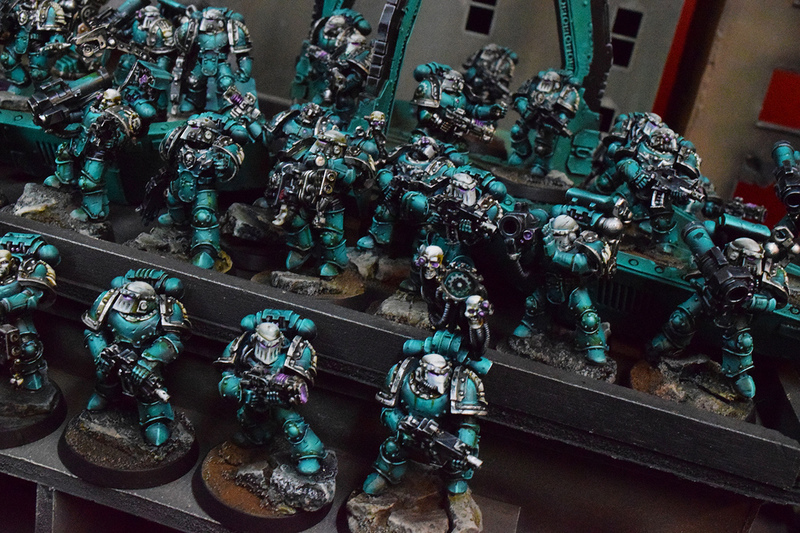 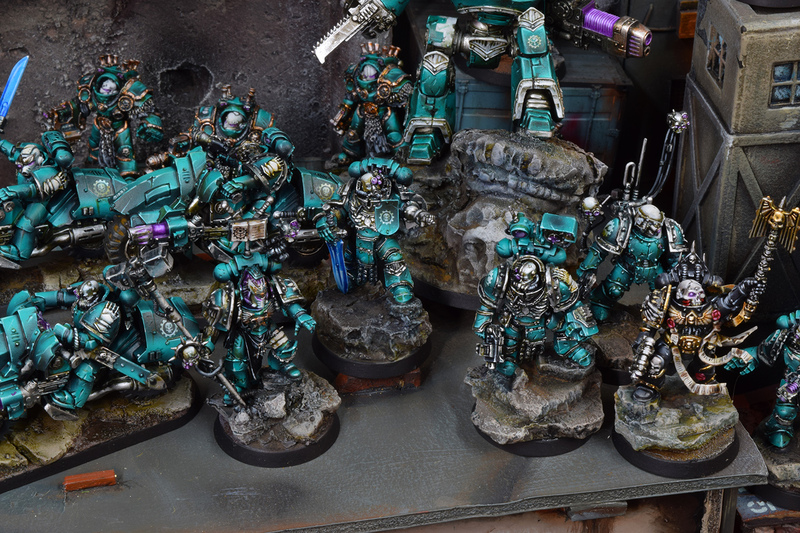 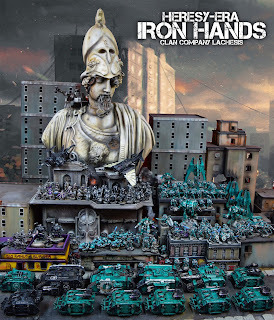 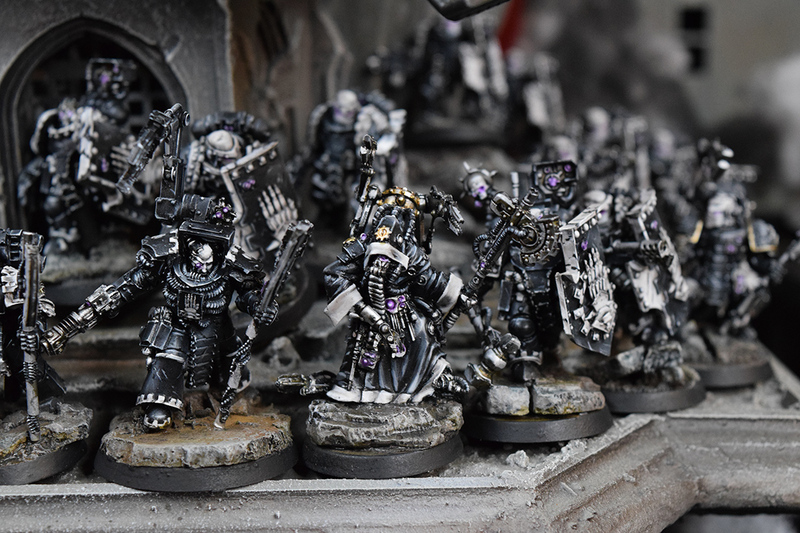 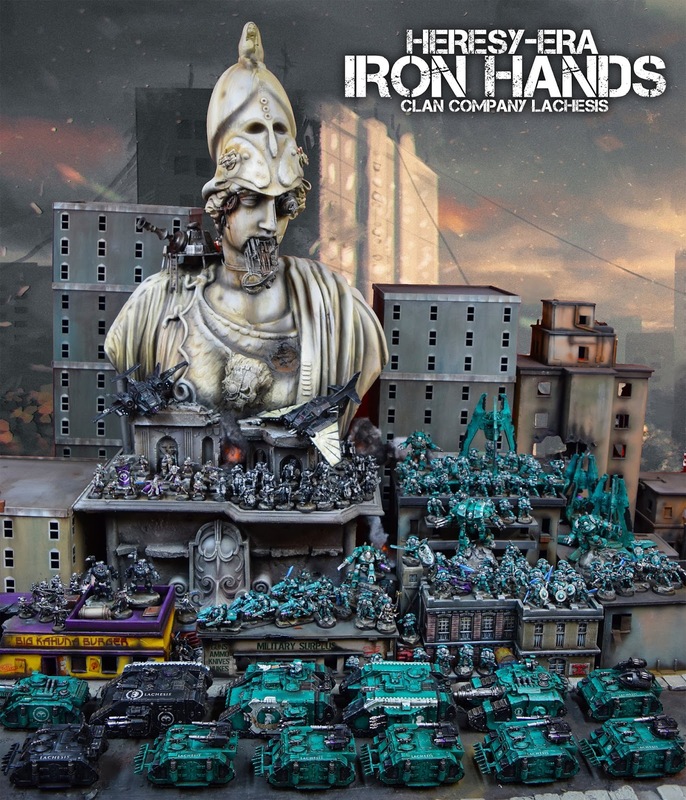 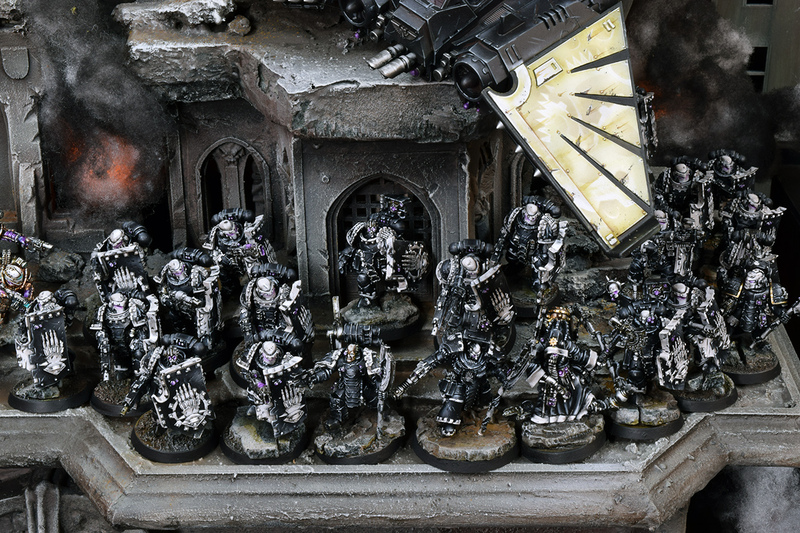 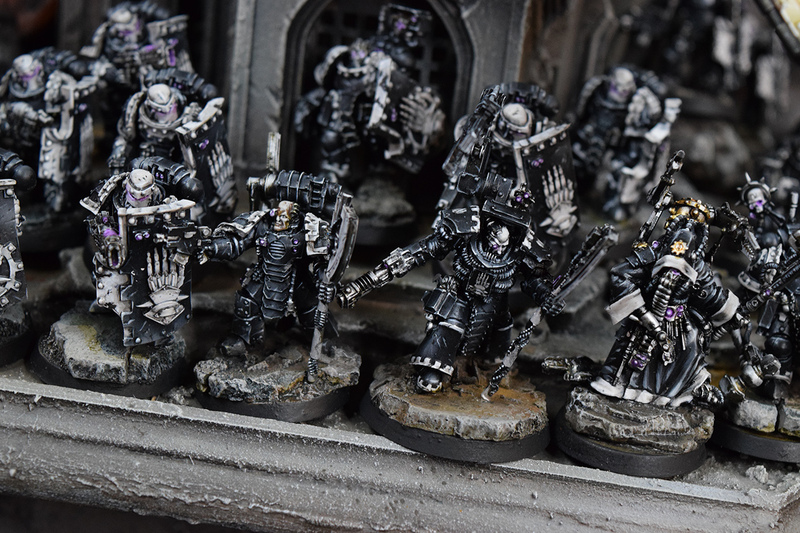 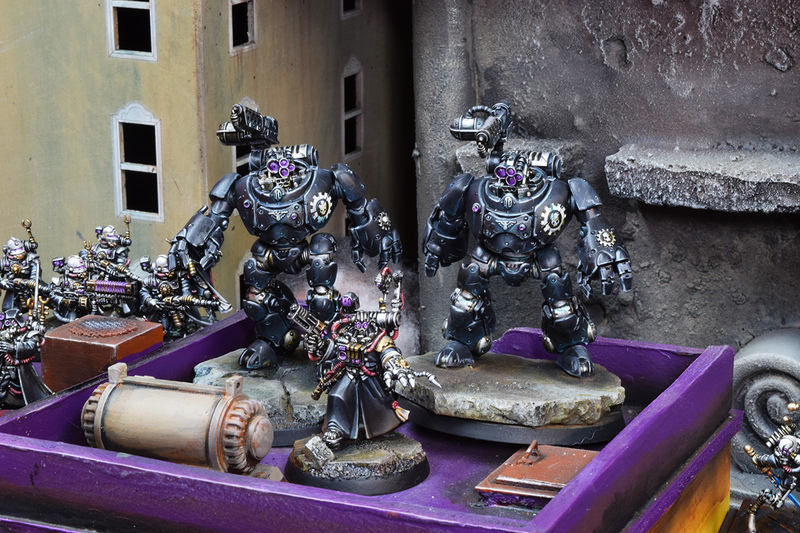 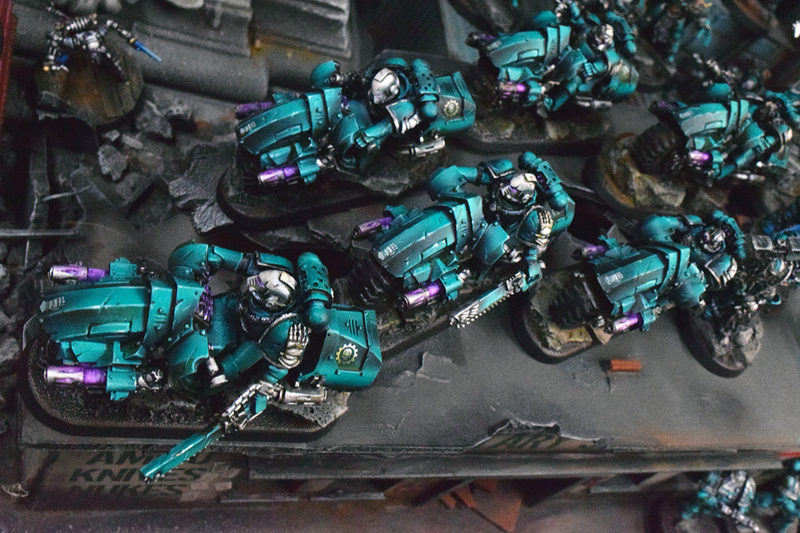 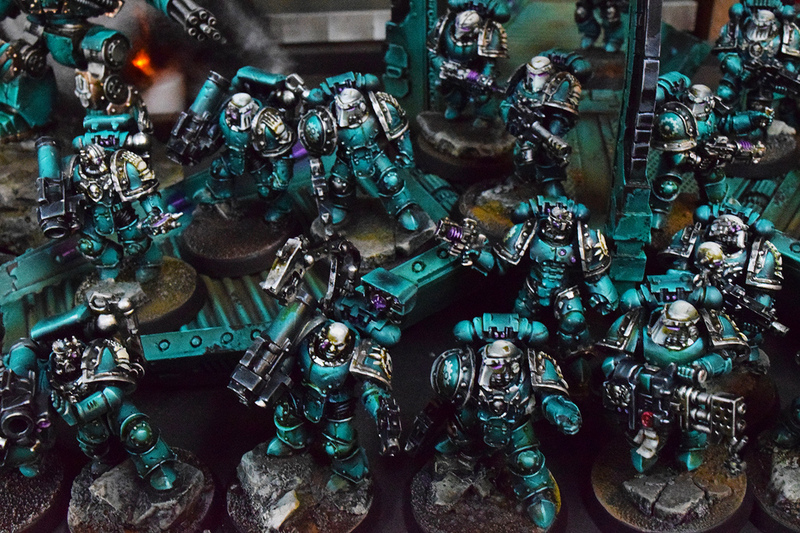 Heresy-era Iron Hands with a Greek twist. 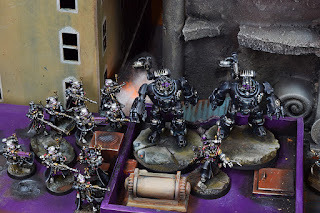 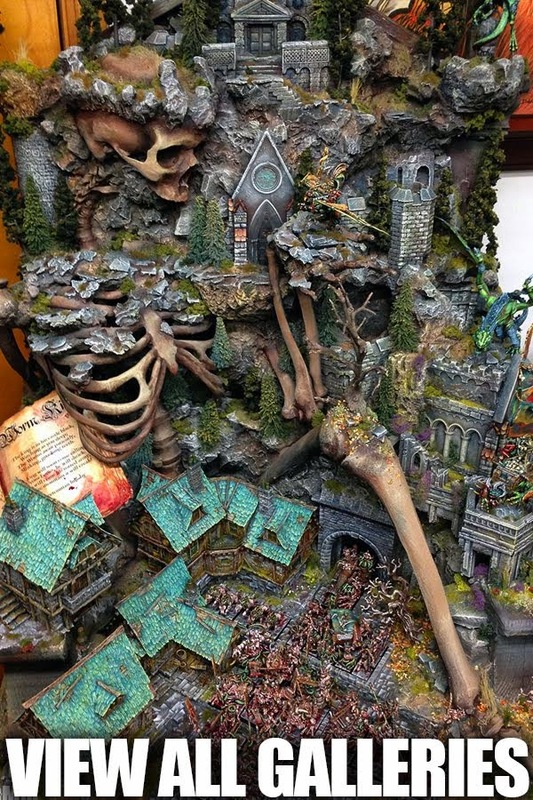 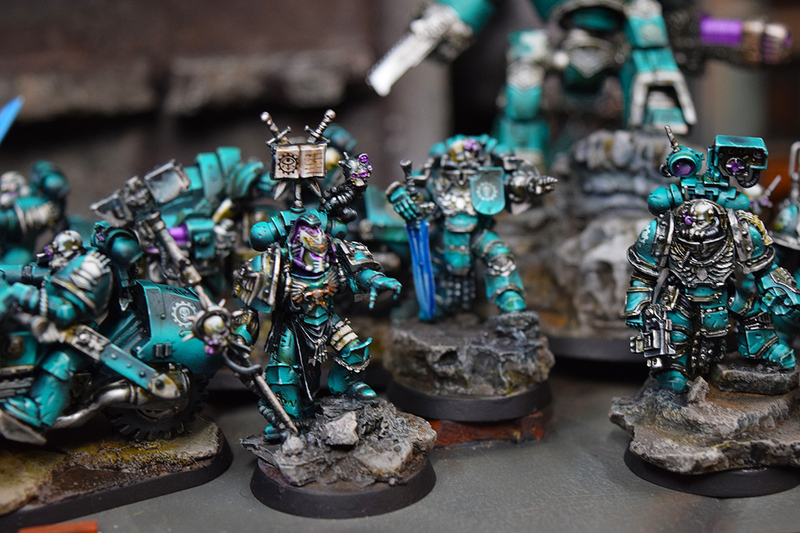 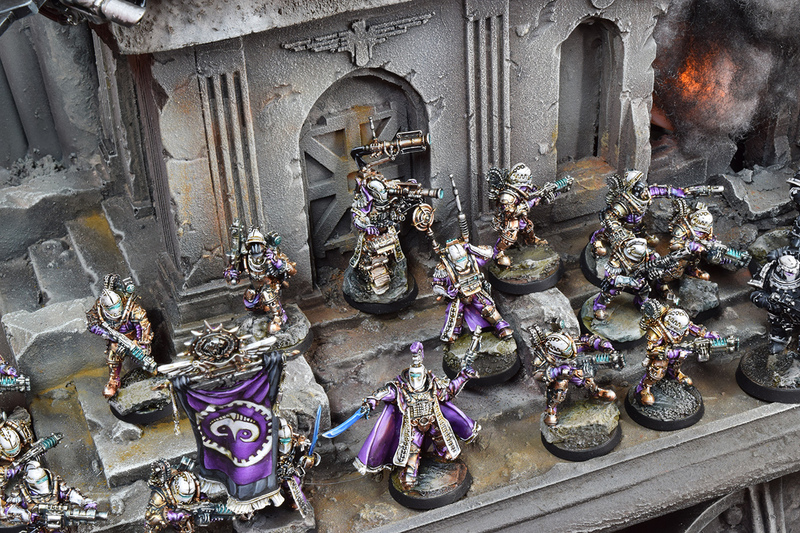 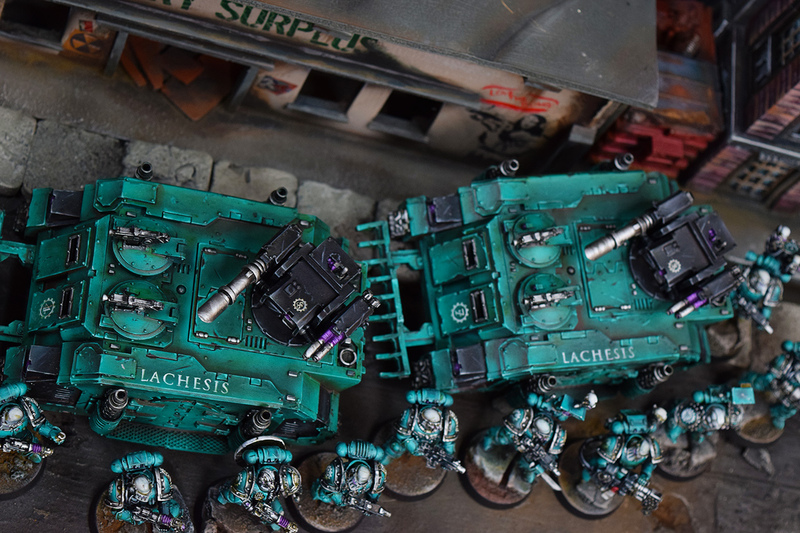 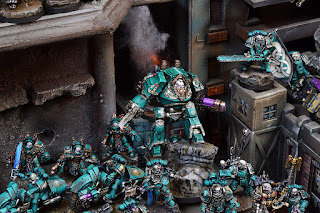 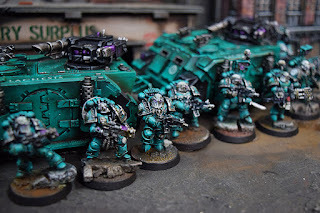 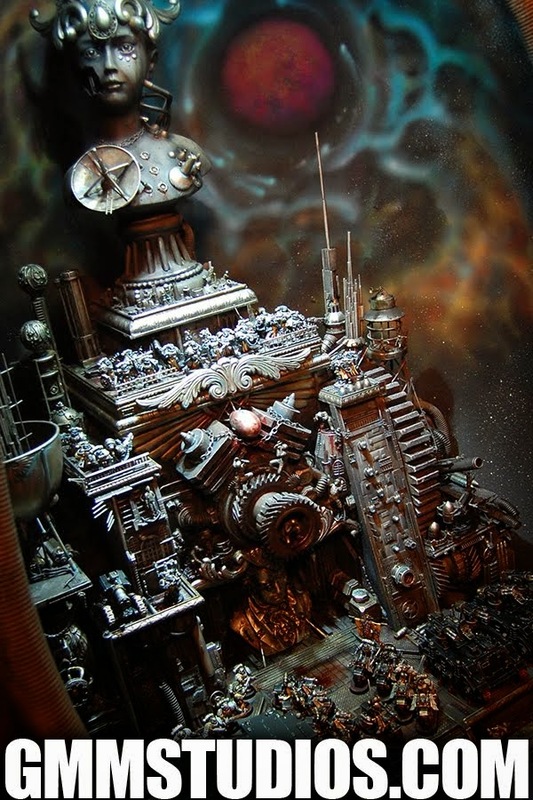 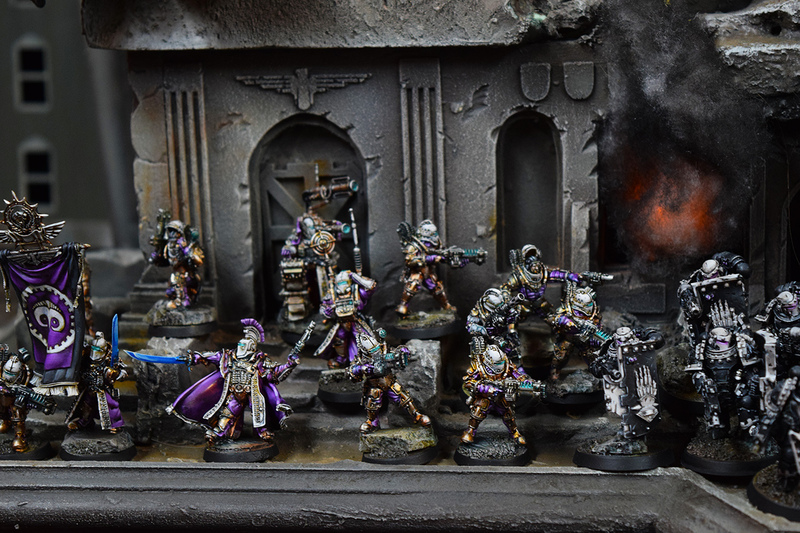 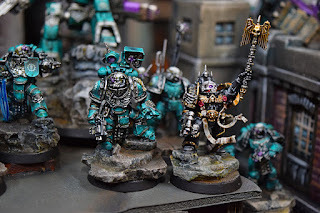 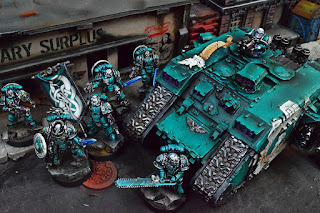 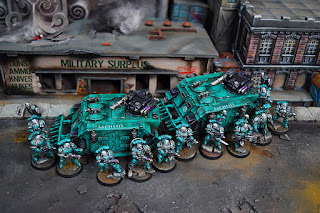 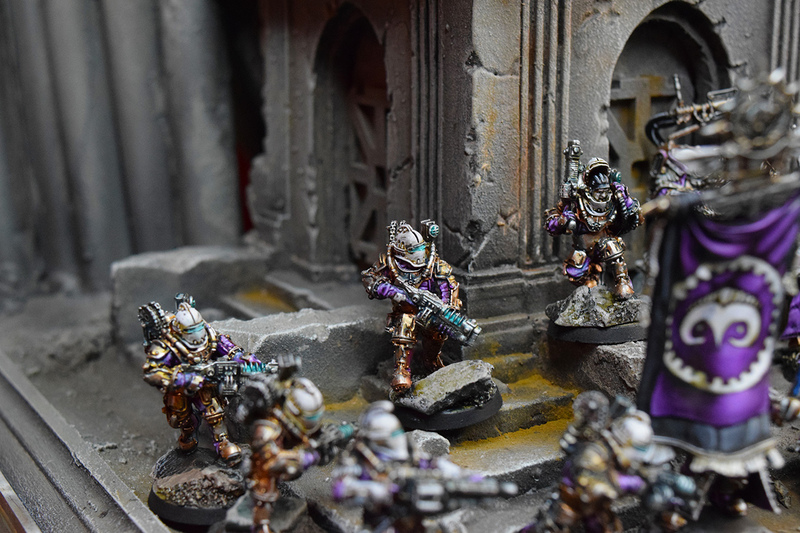 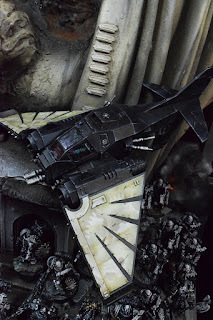 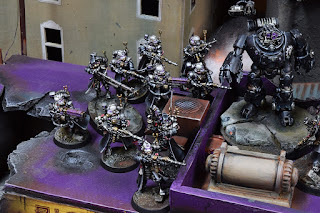 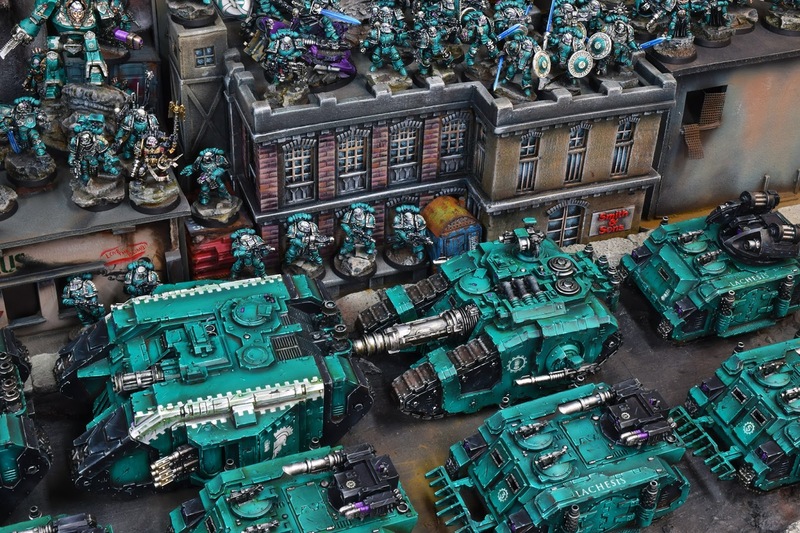 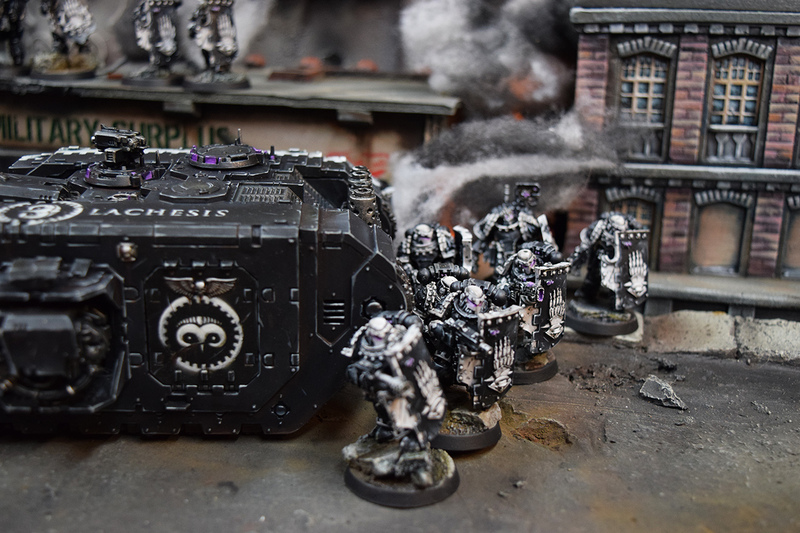 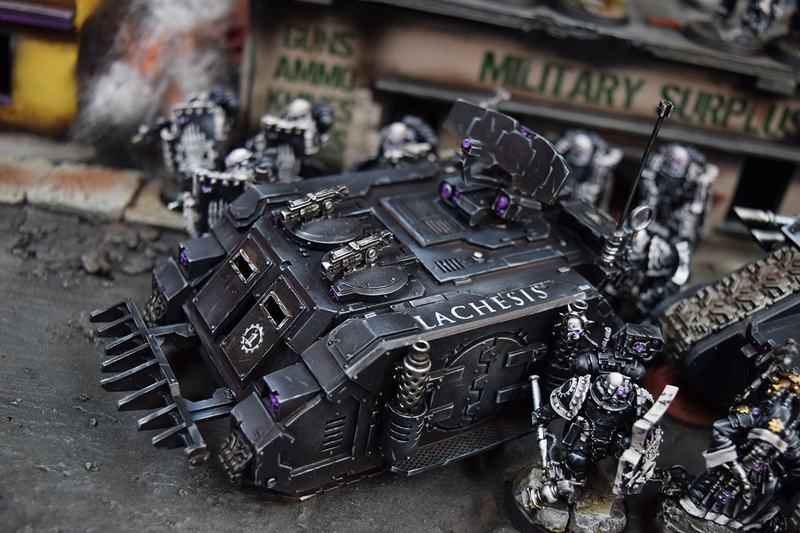 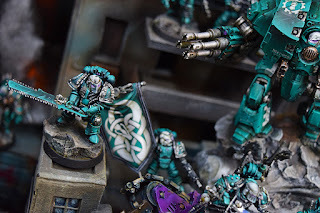 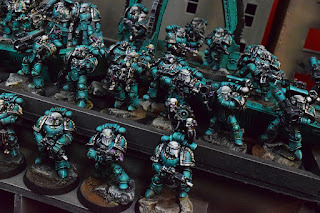 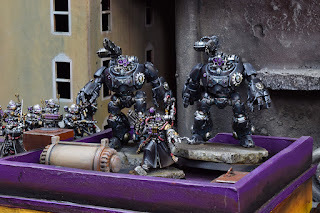 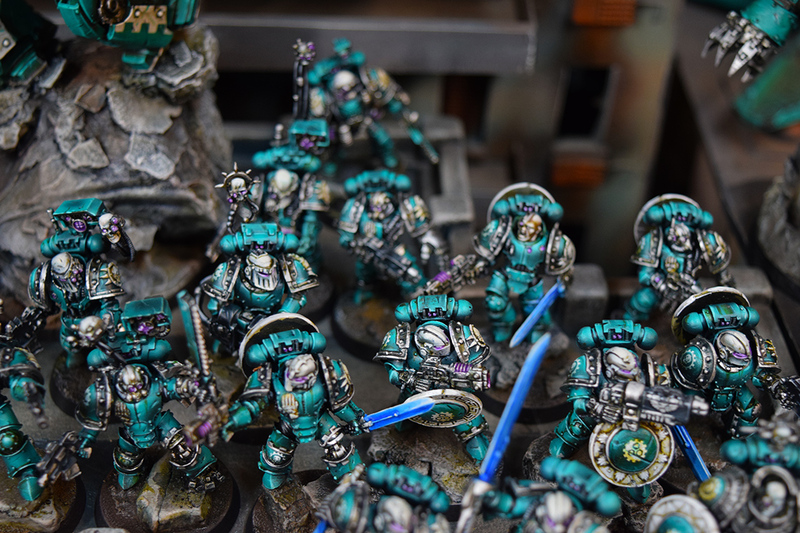 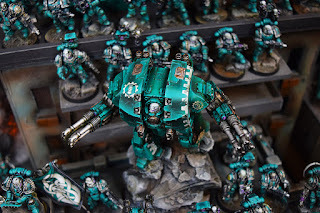 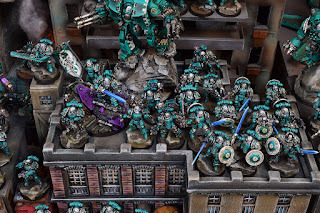 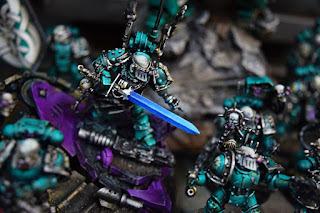 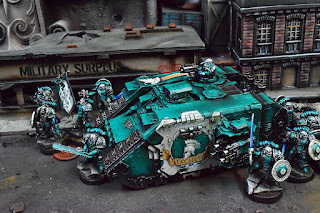 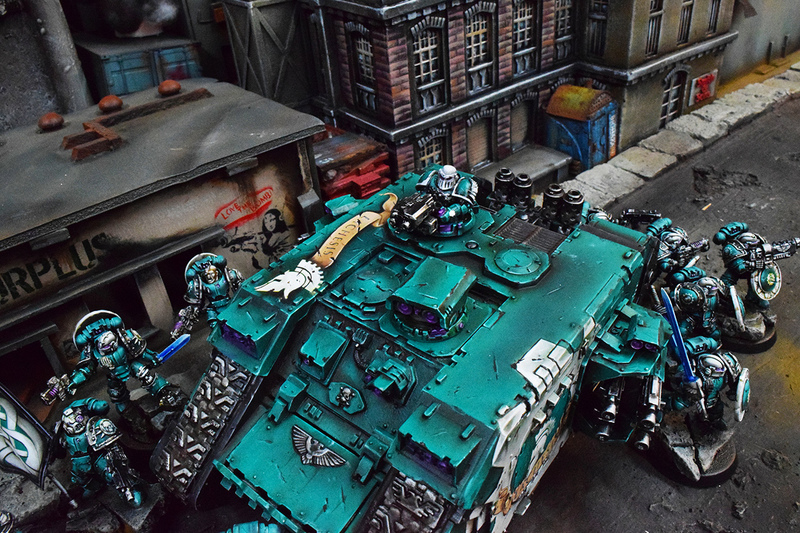 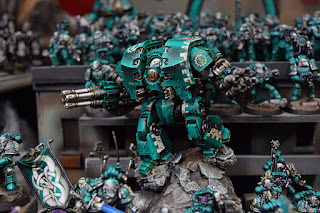 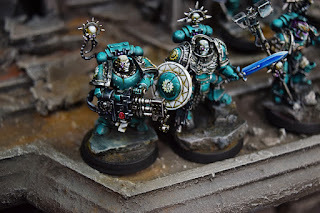 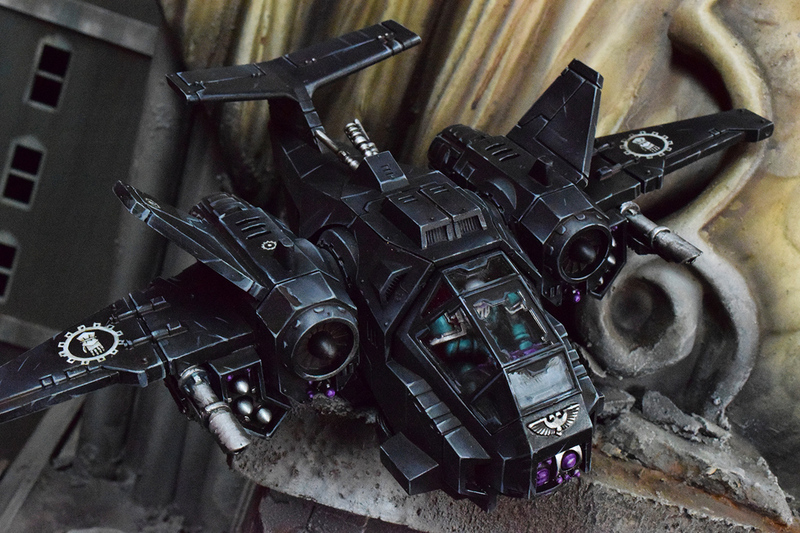 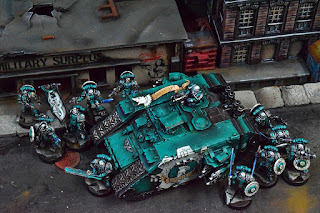 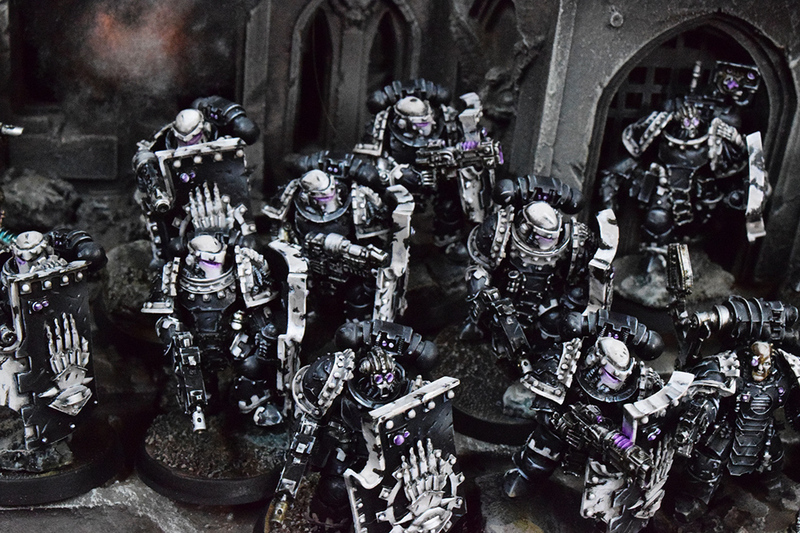 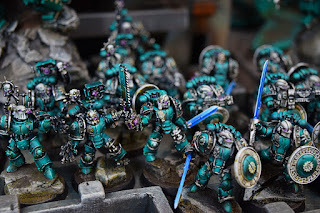 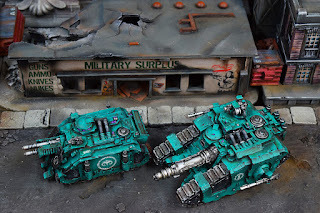 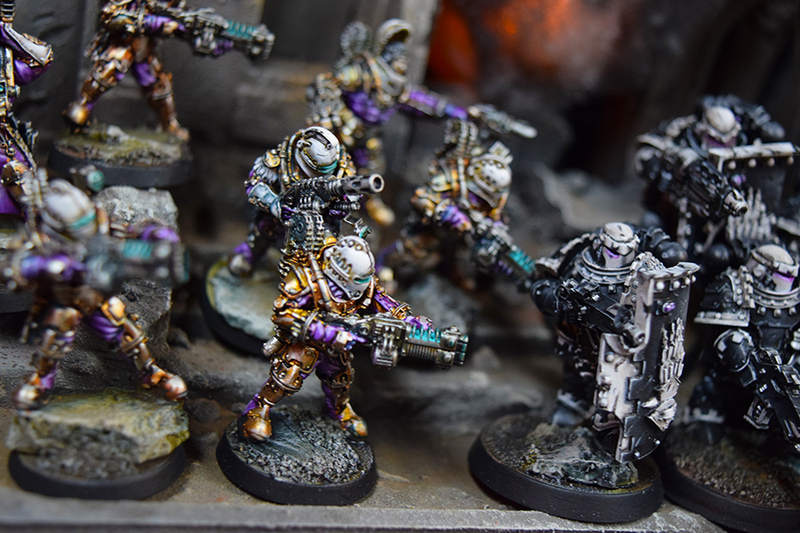 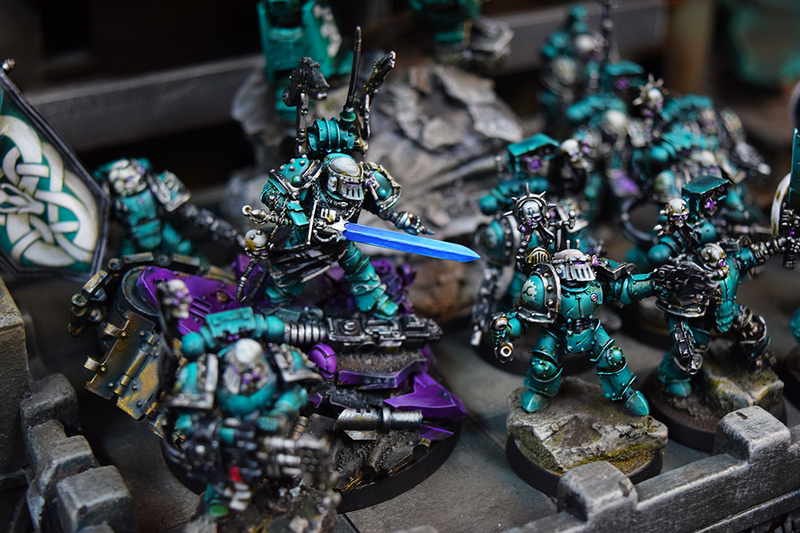 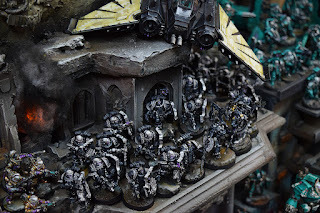 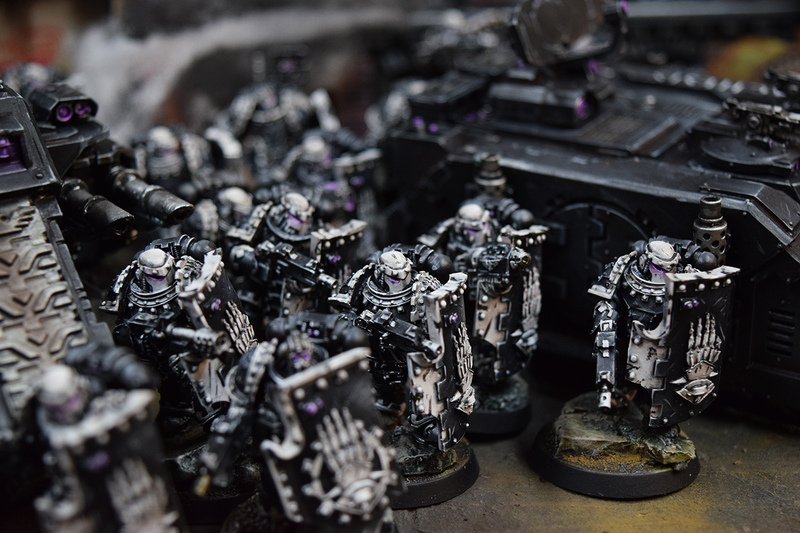 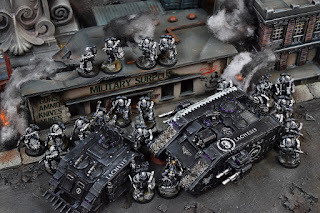 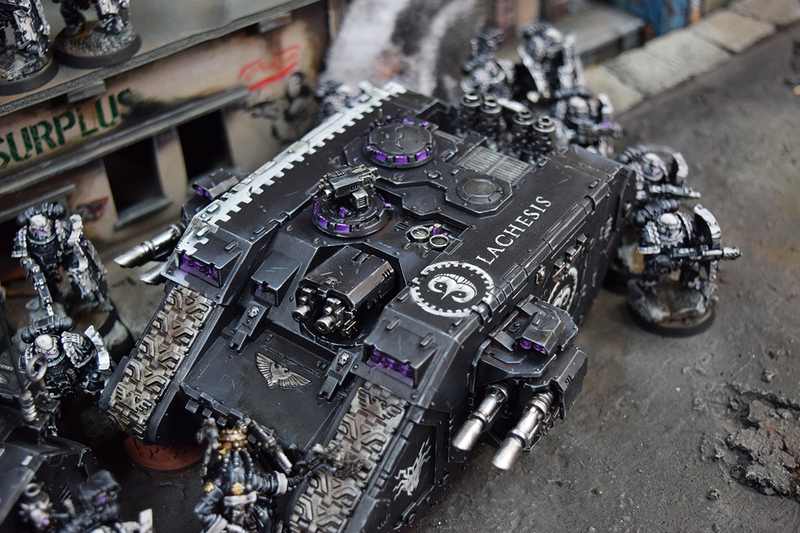 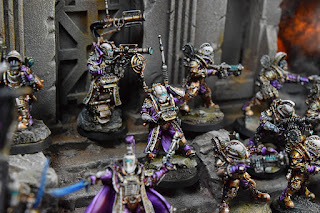 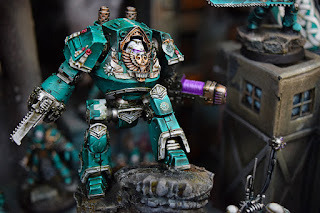 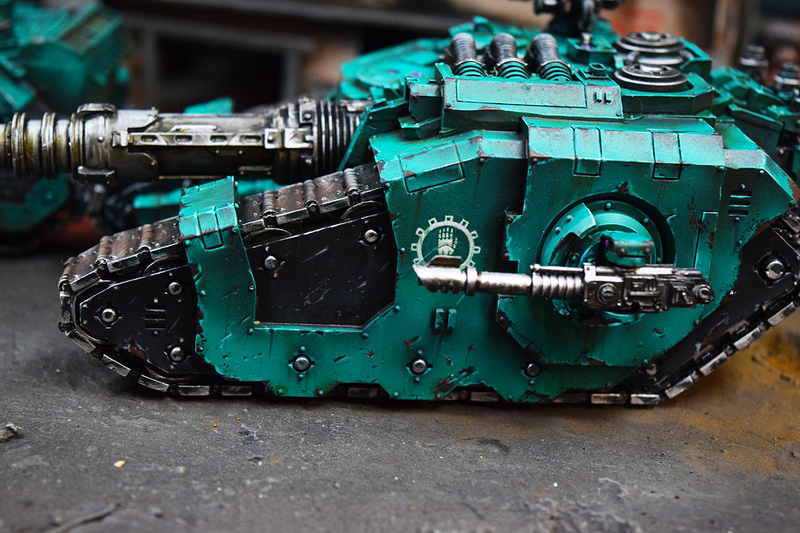 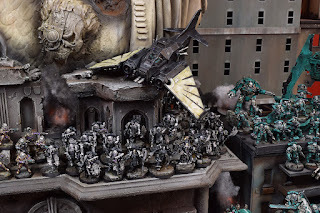 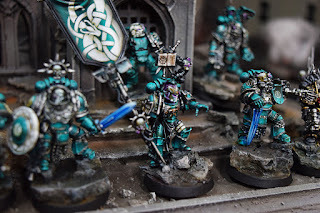 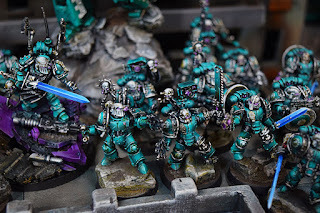 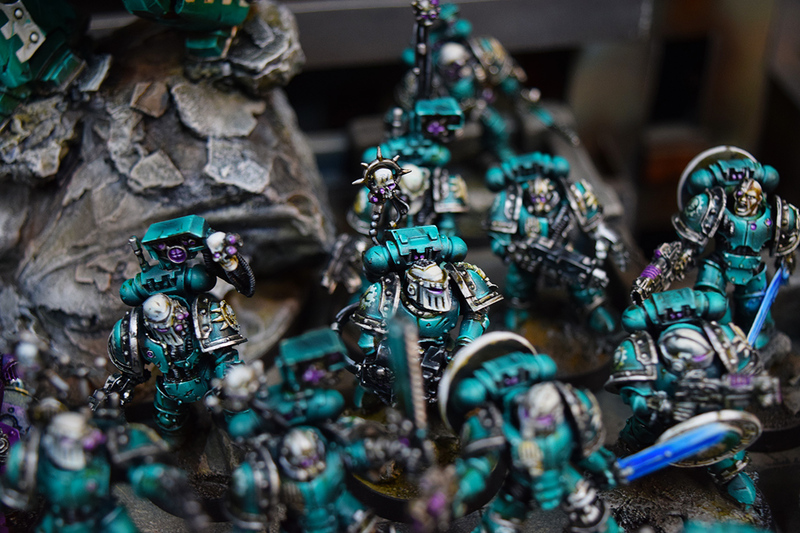 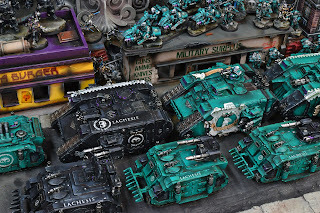 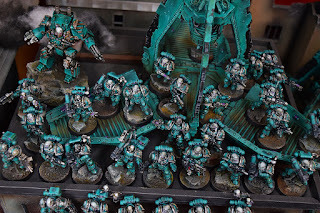 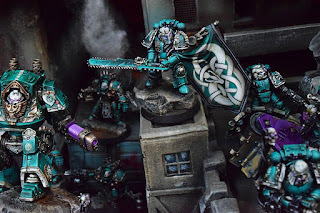 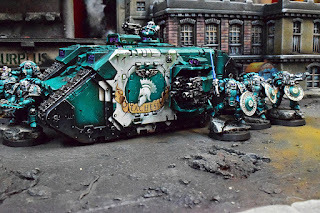 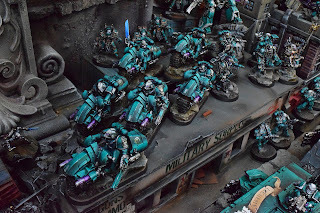 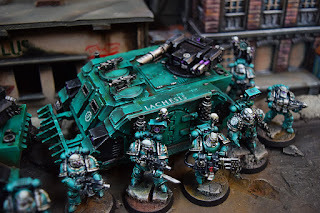 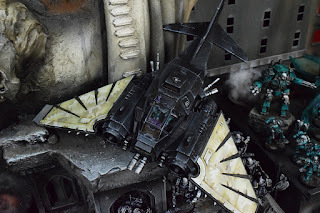 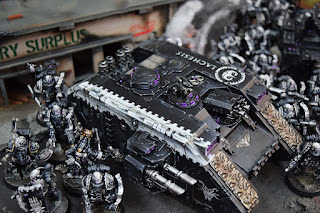 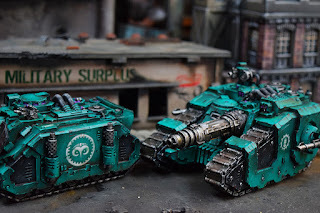 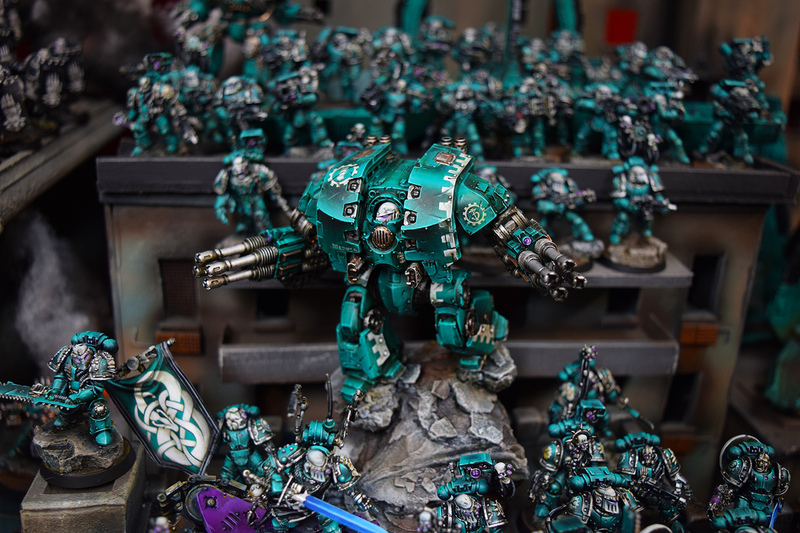 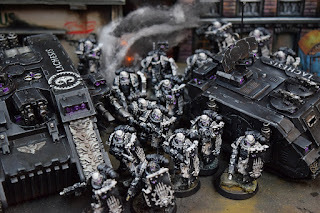 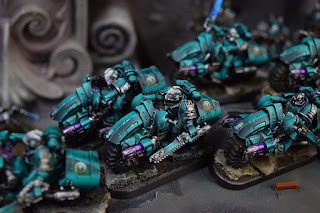 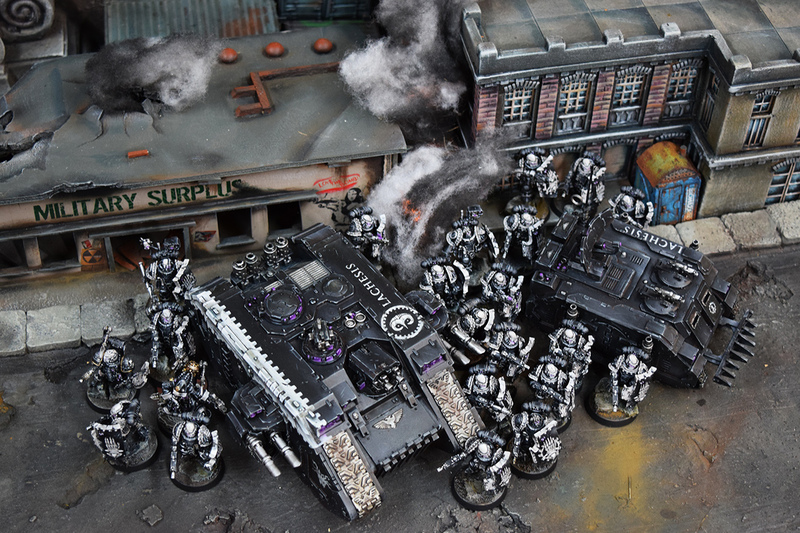 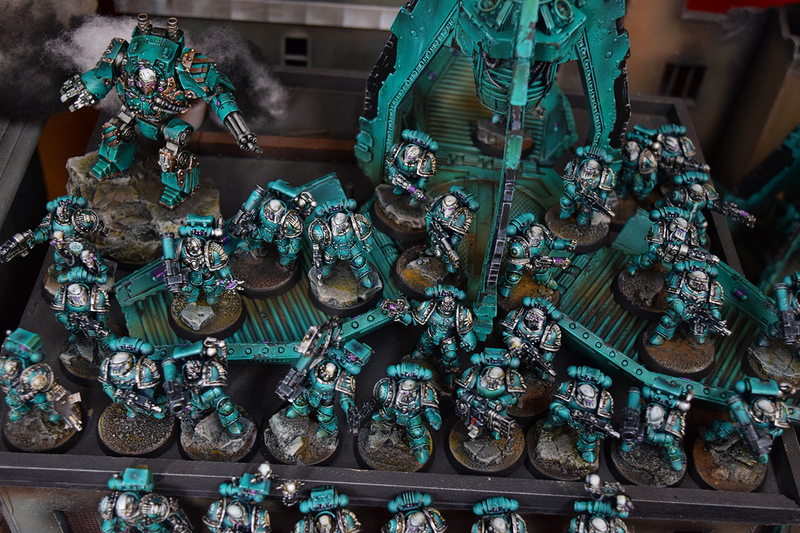 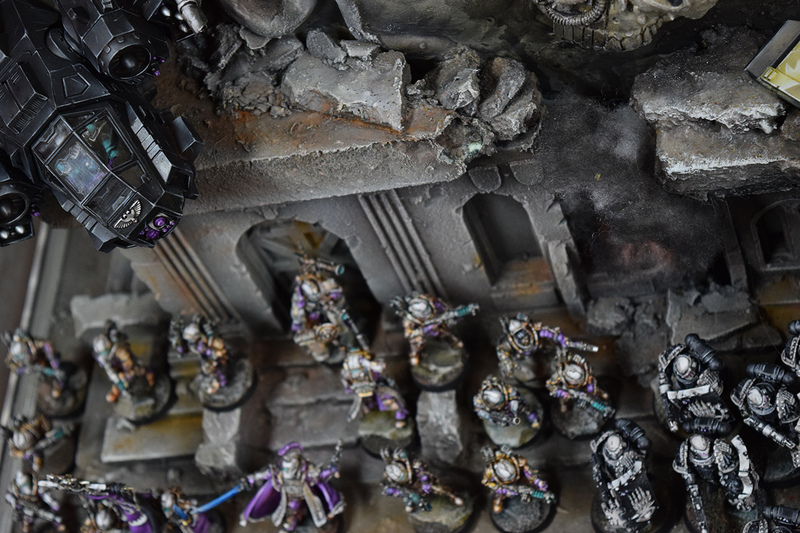 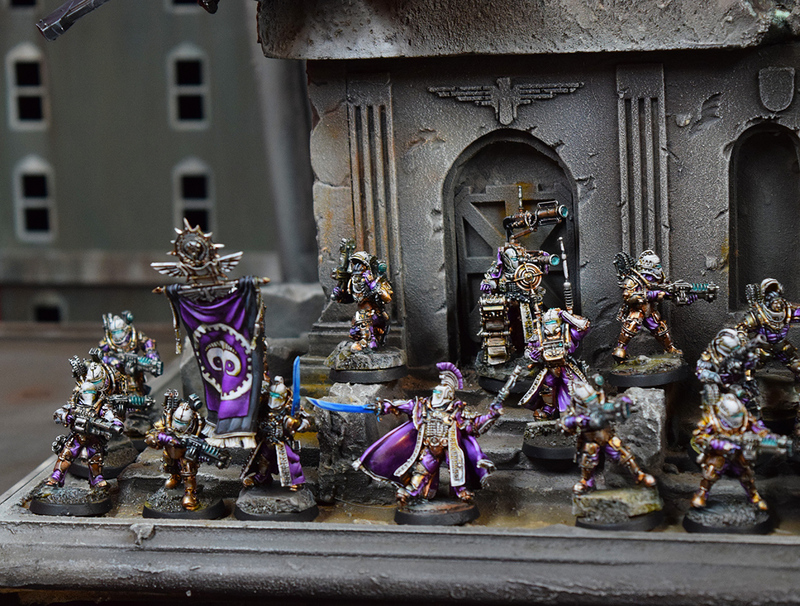 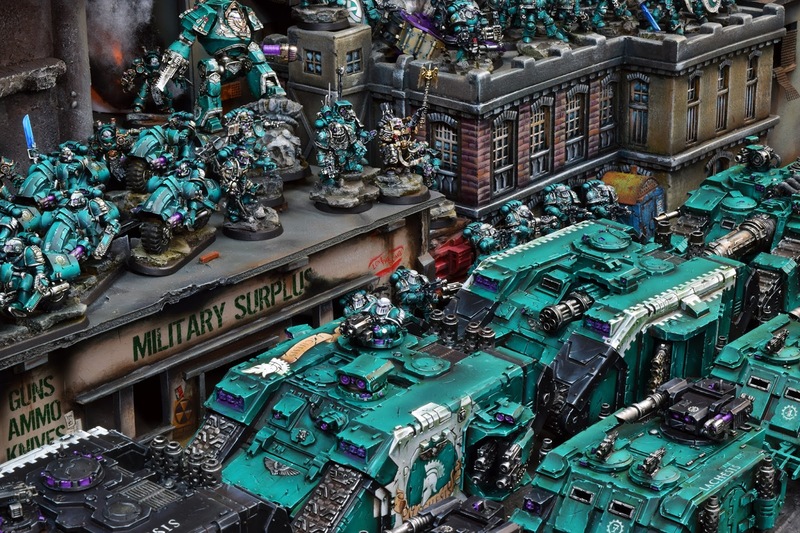 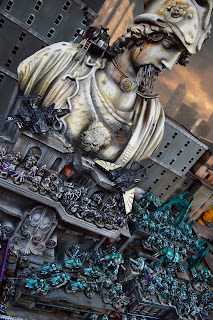 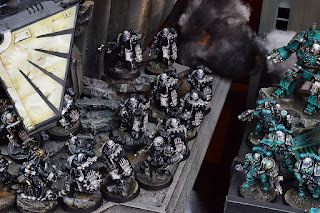 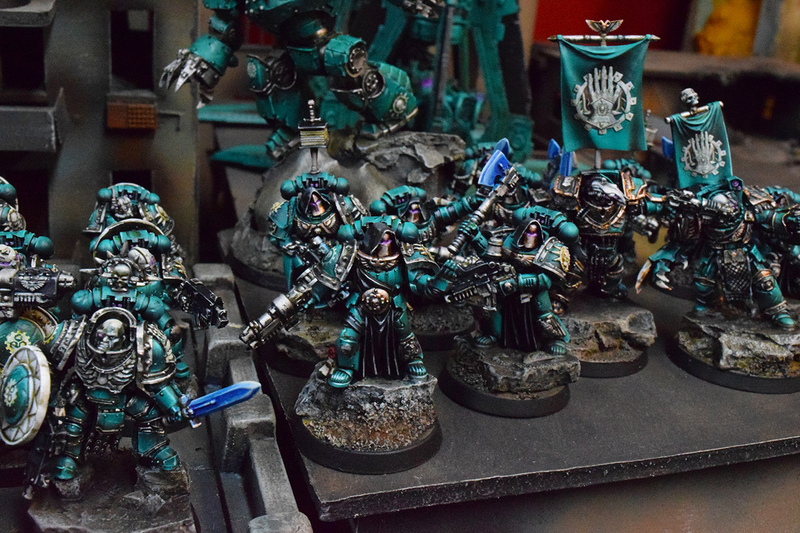 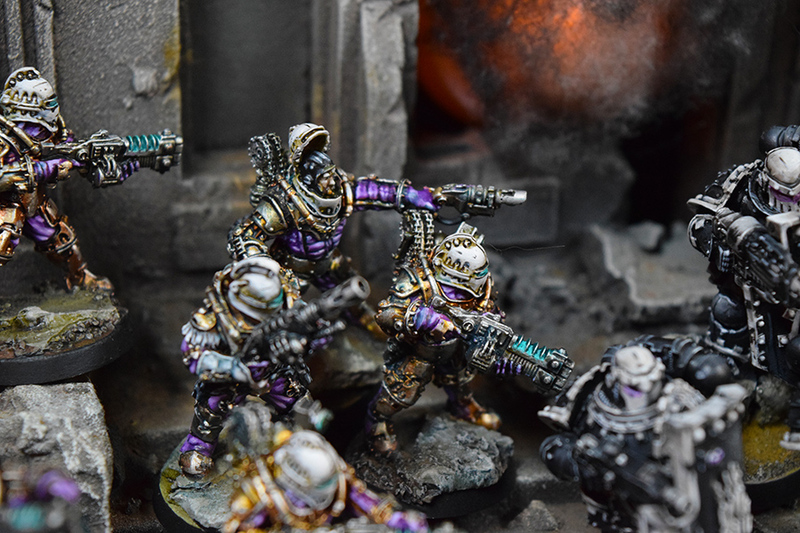 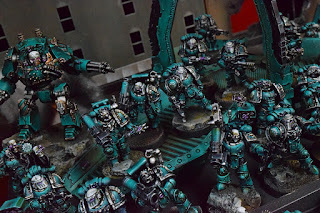 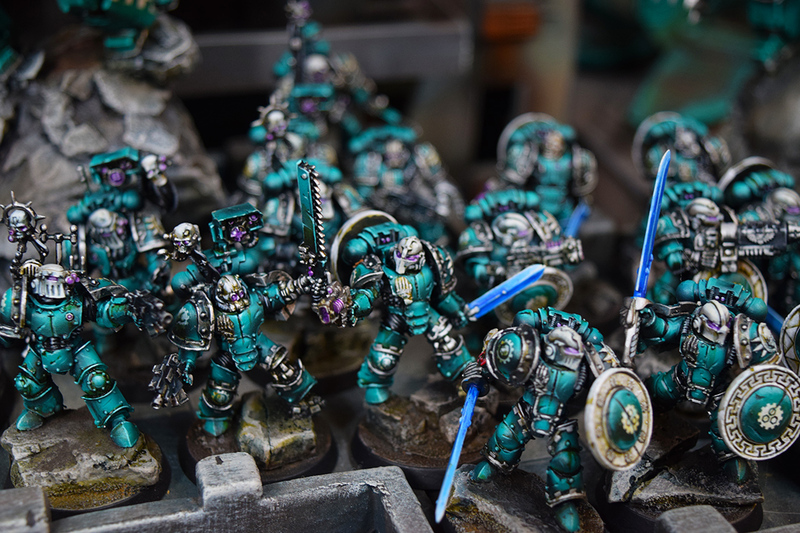 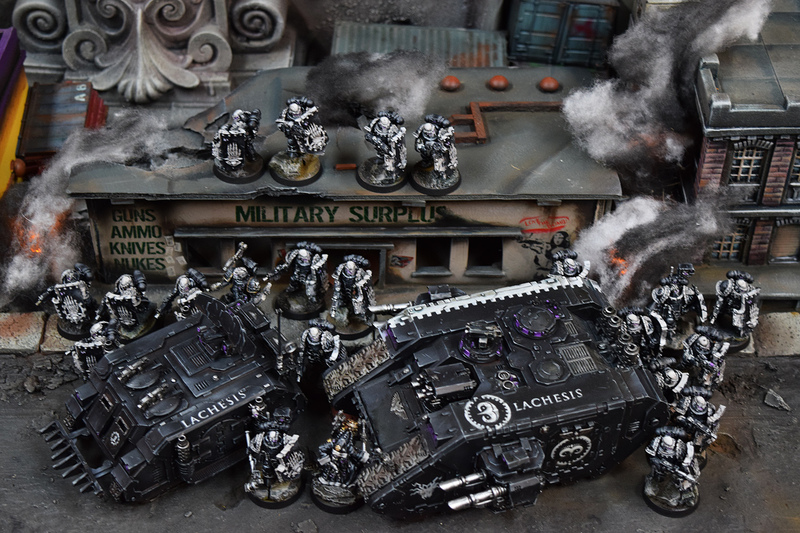 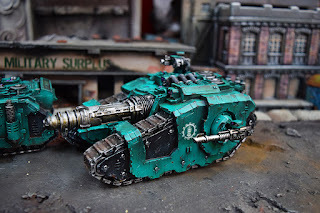 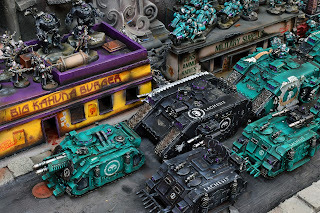 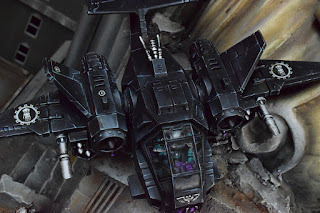 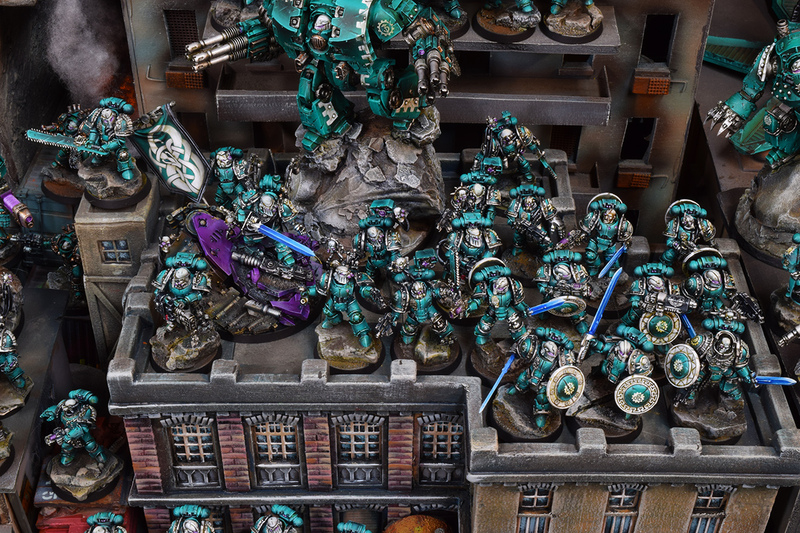 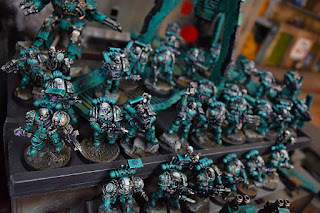 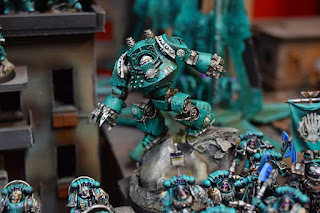 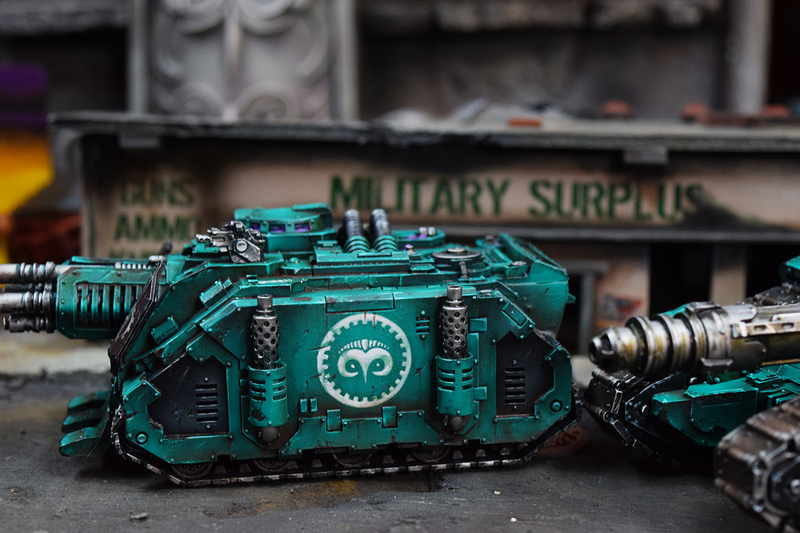 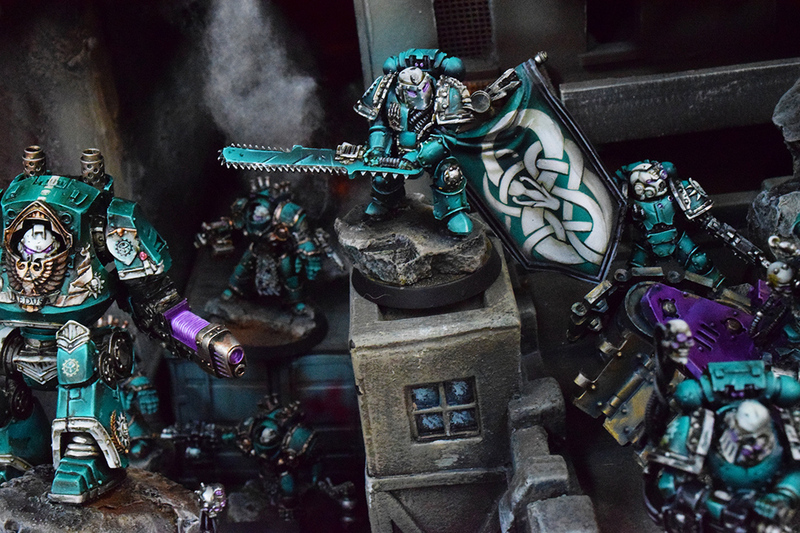 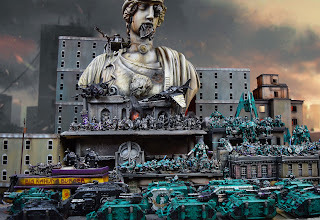 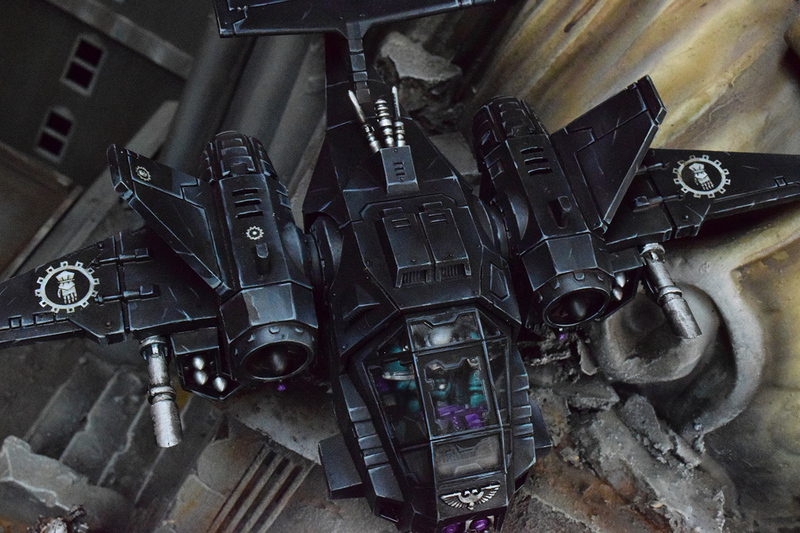 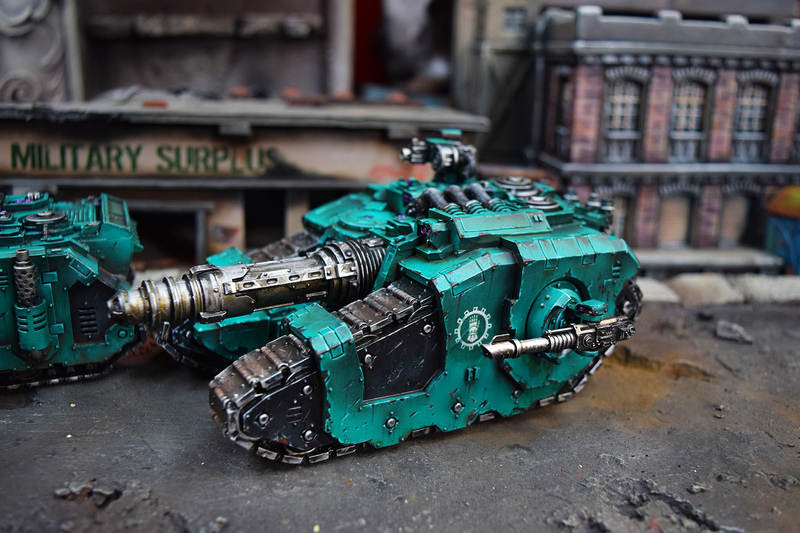 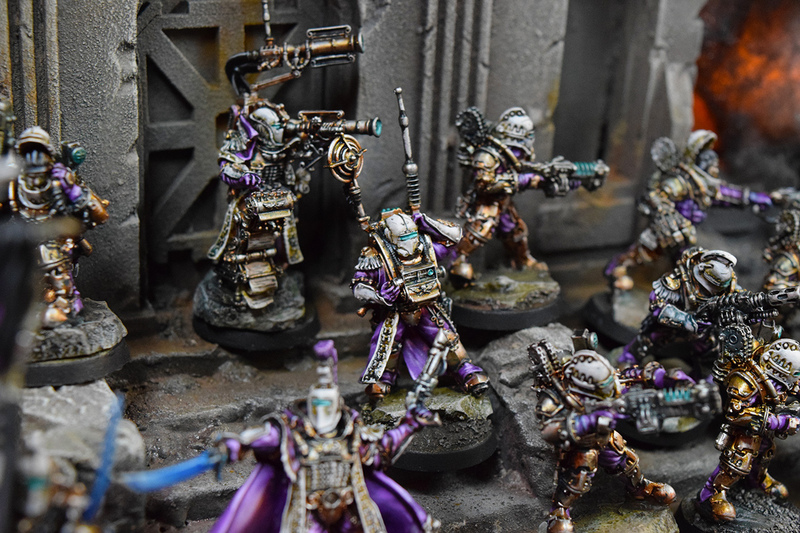 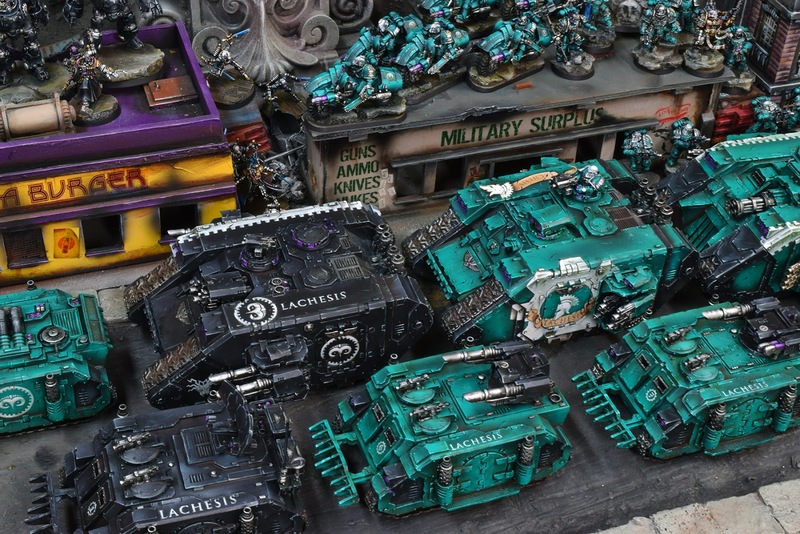 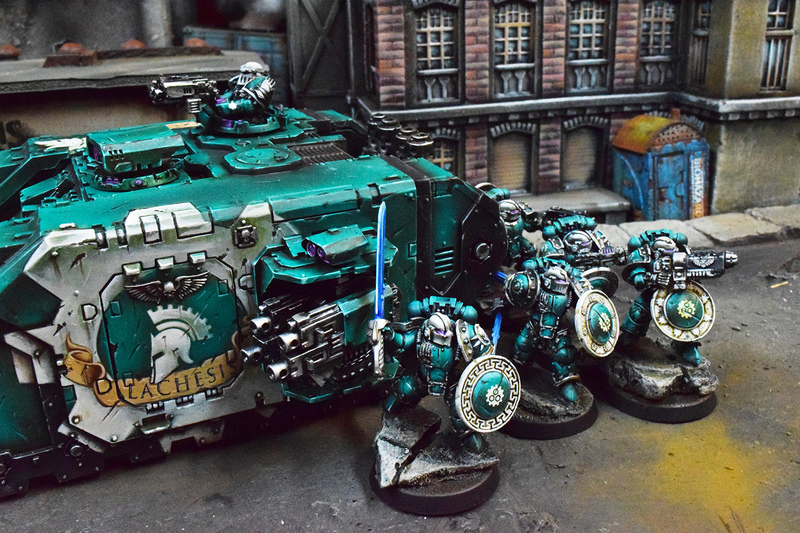 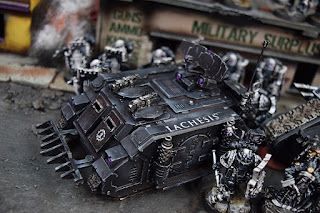 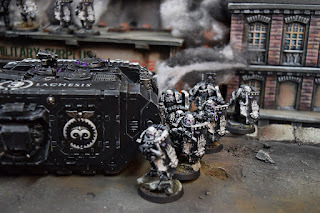 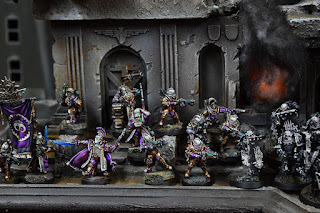 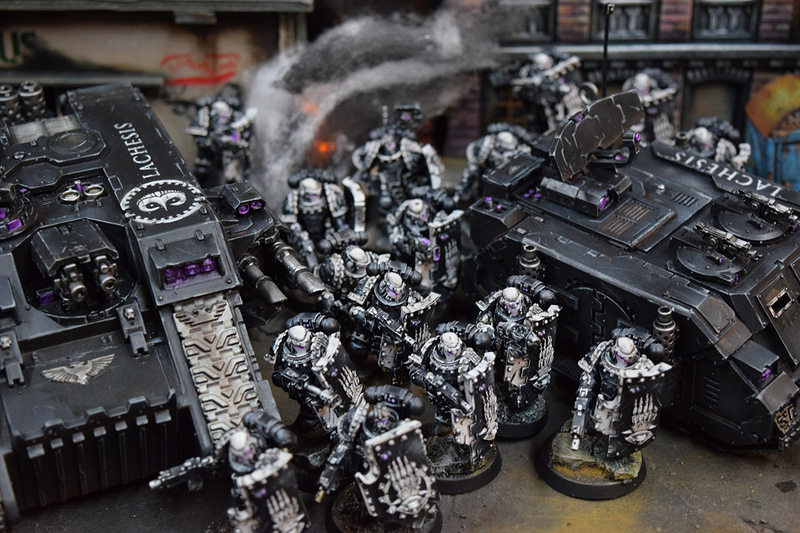 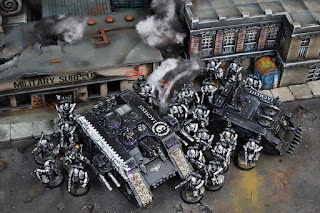 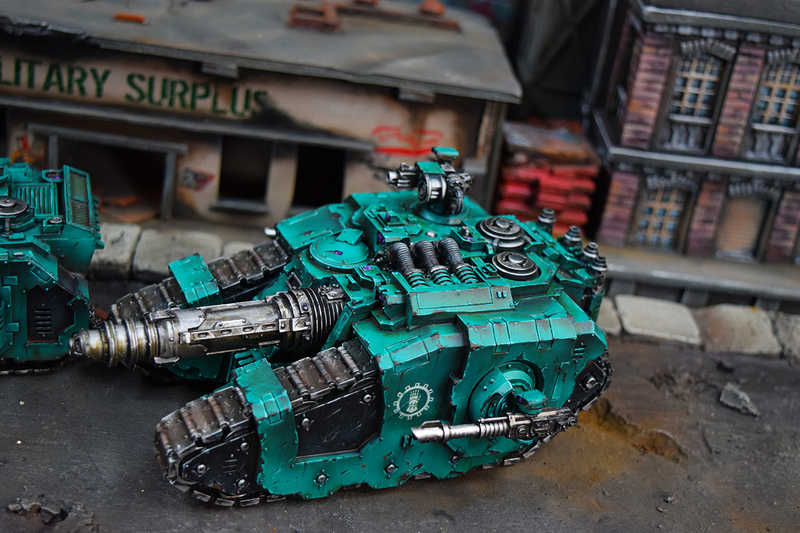 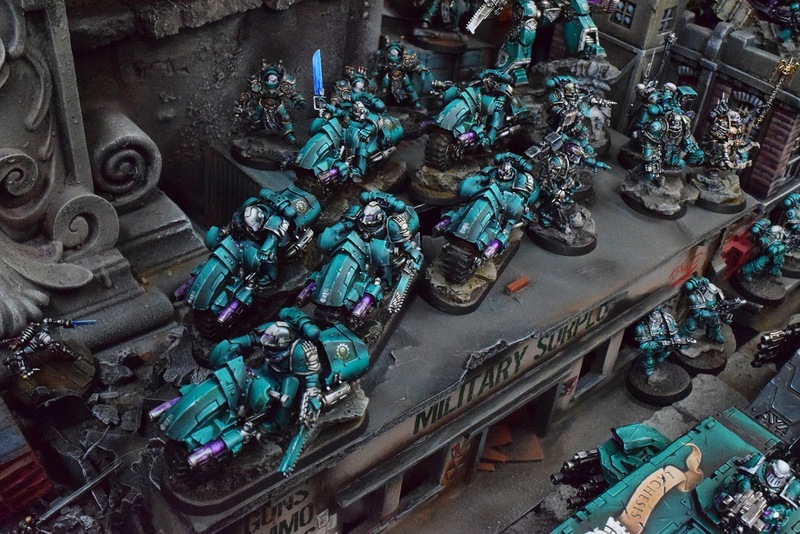 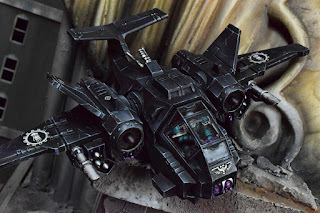 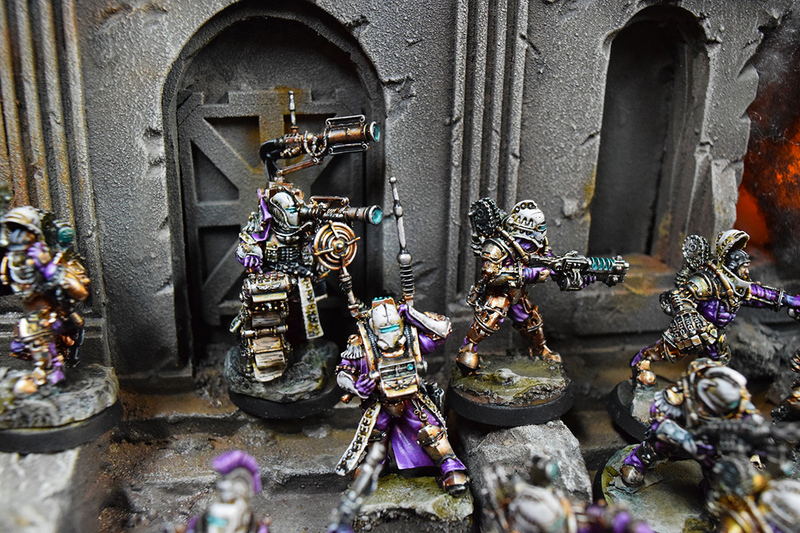 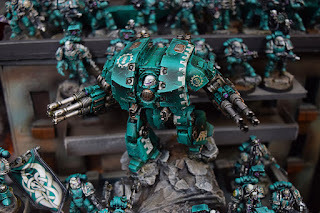 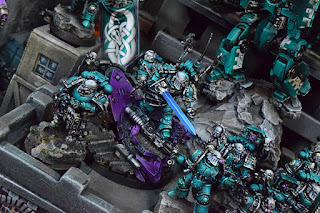 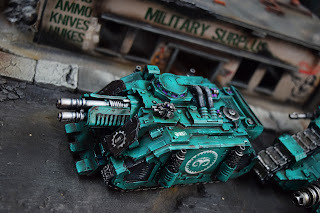 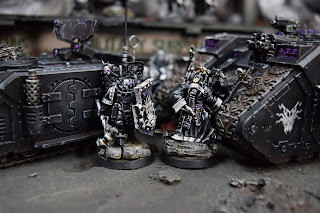 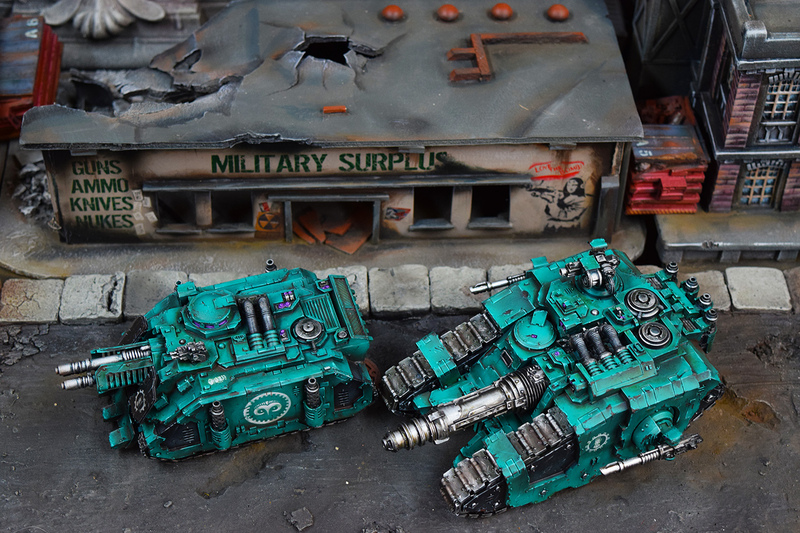 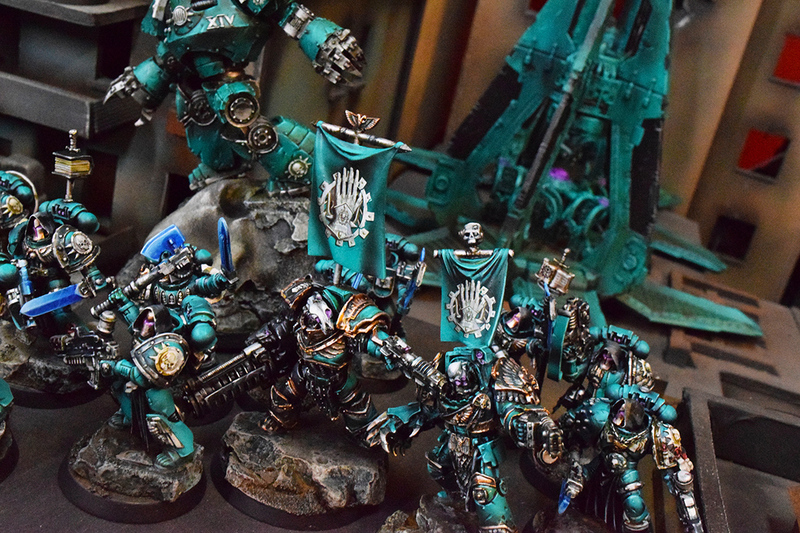 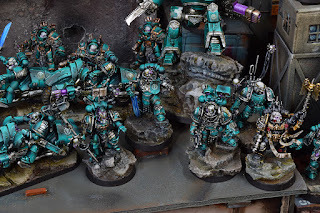 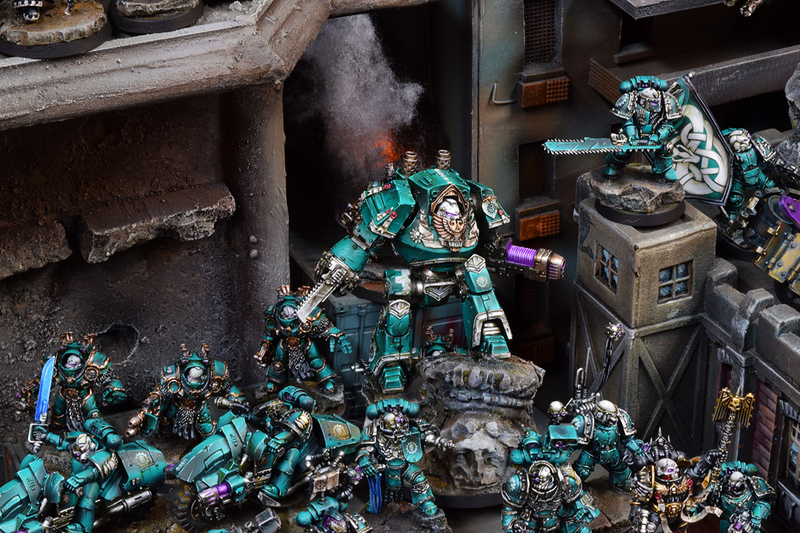 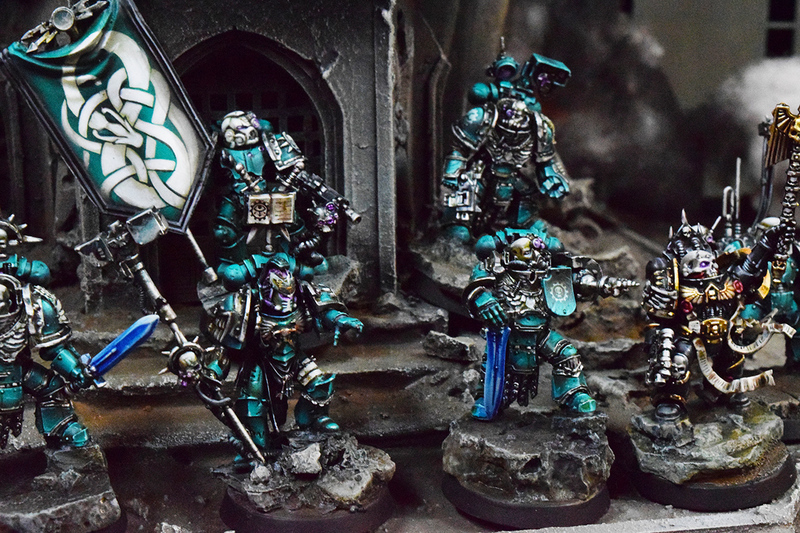 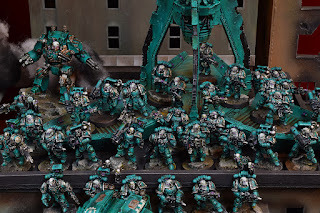 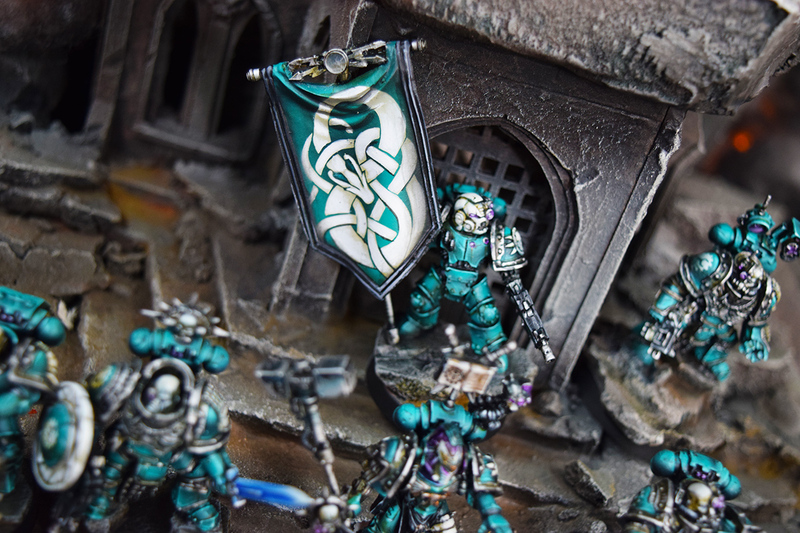 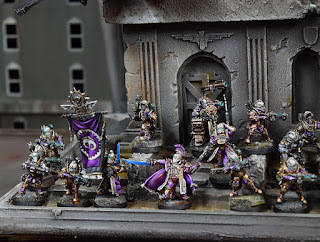 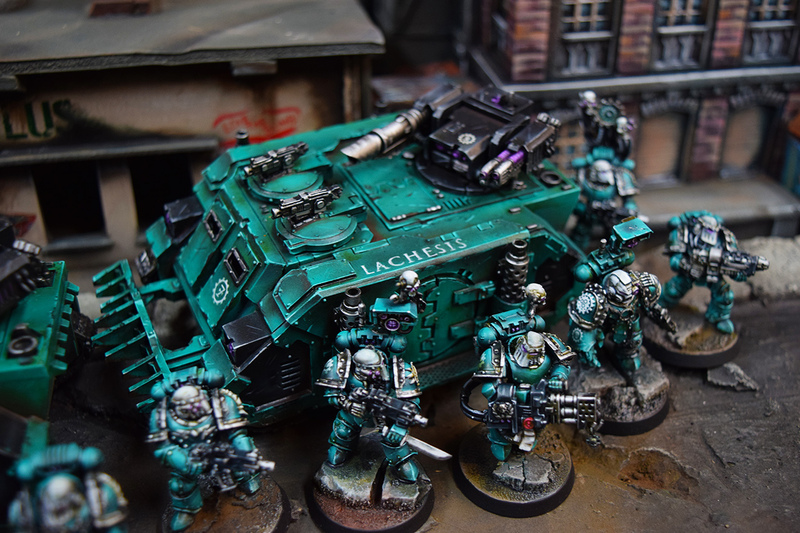 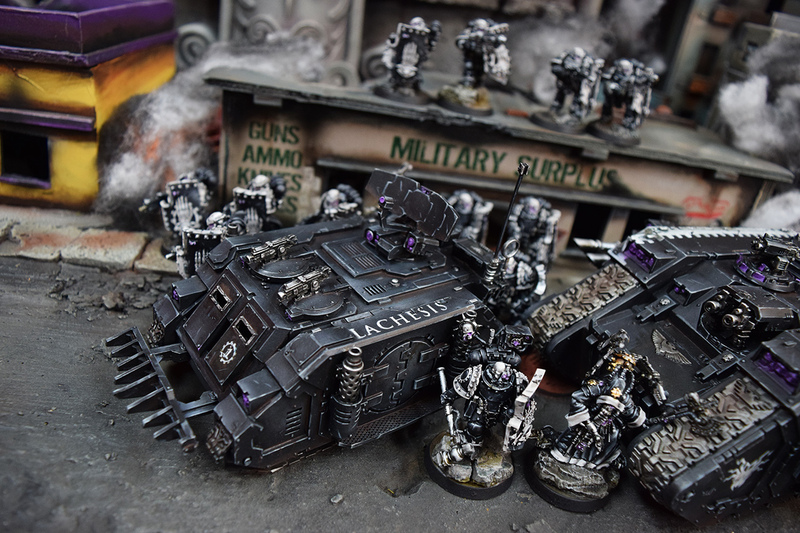 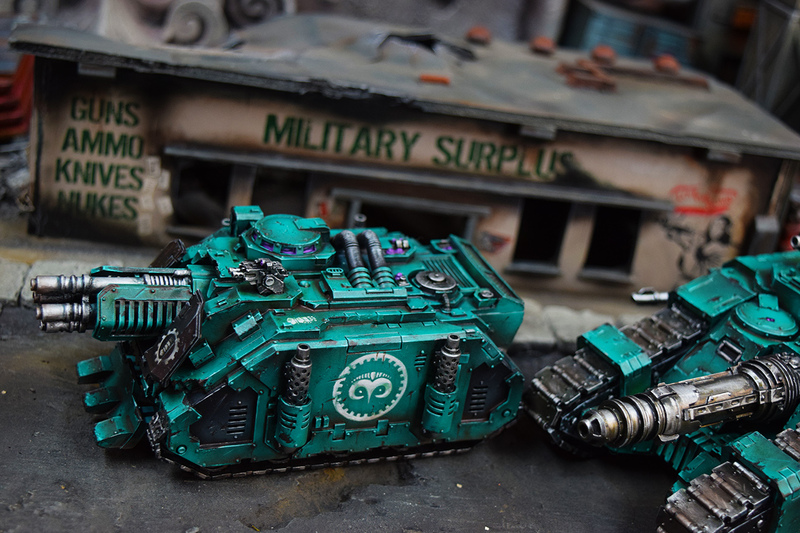 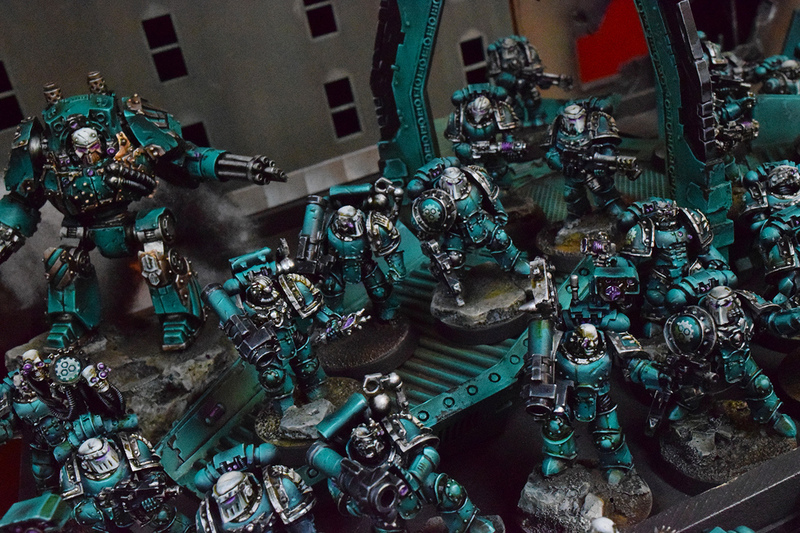 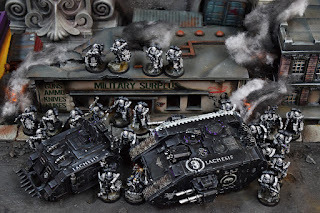 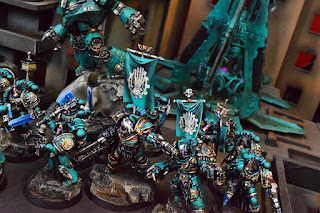 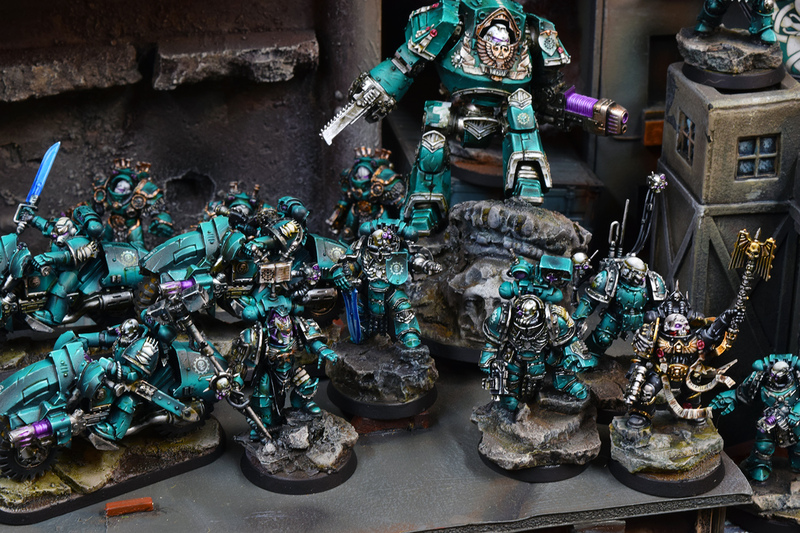 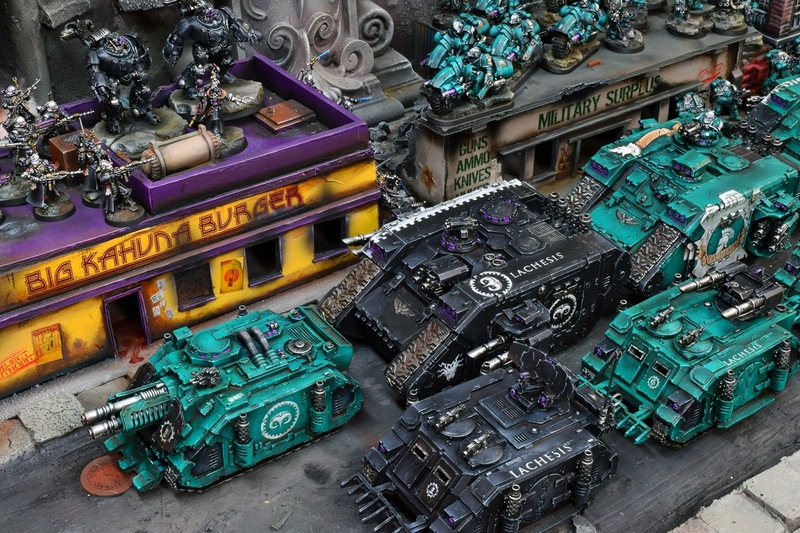 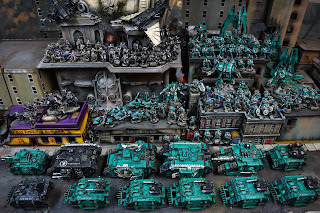 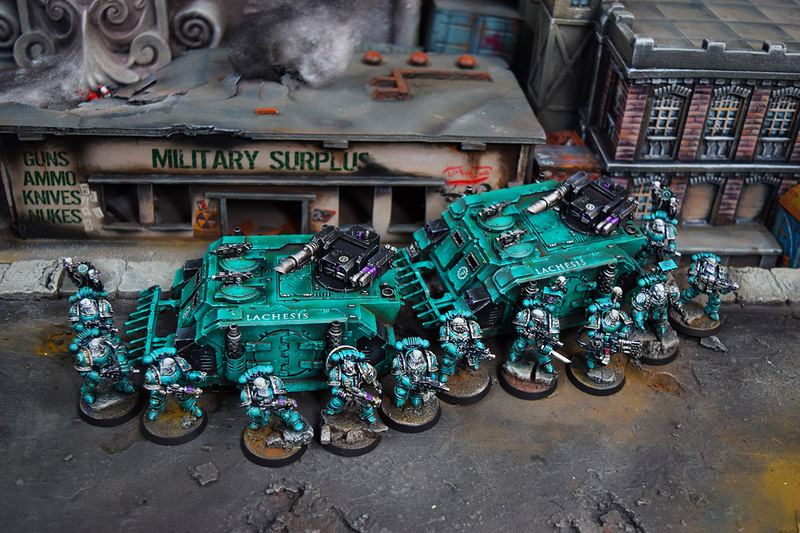 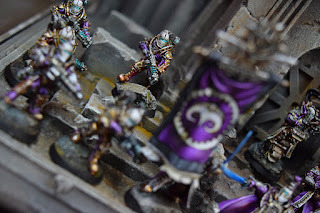 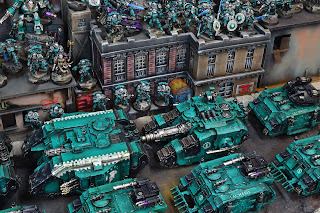 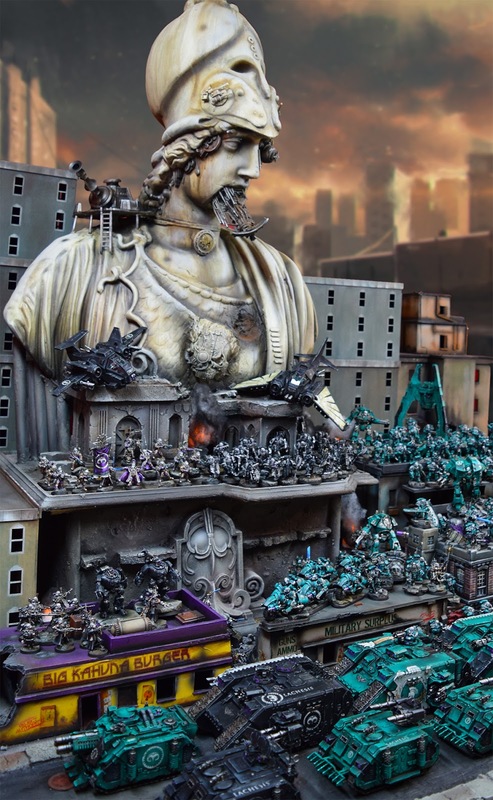 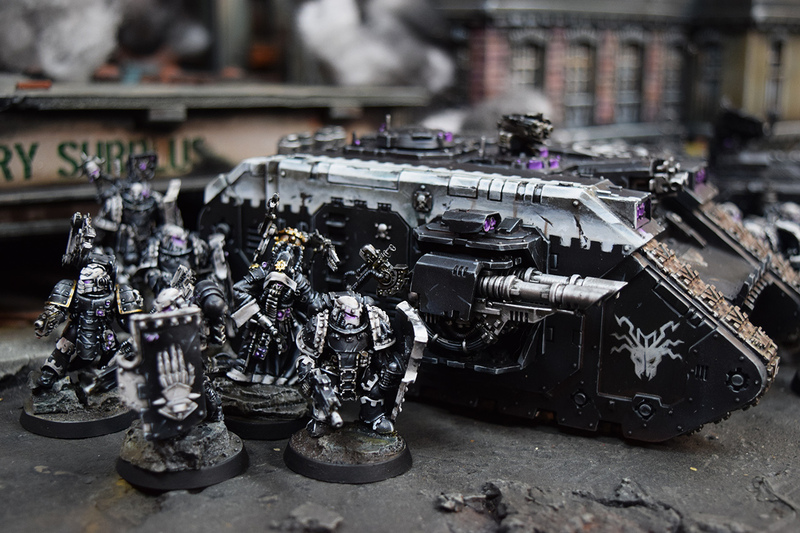 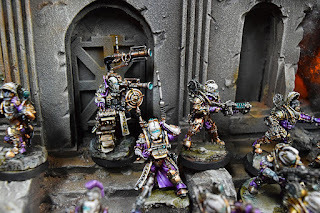 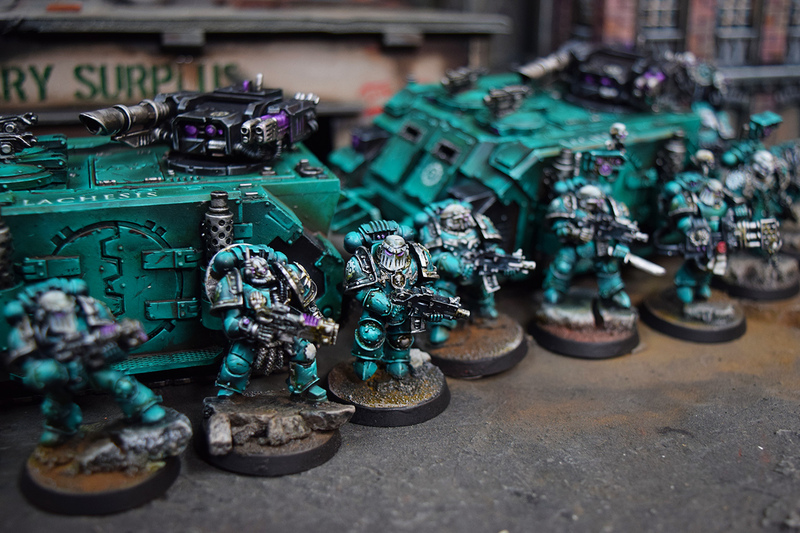 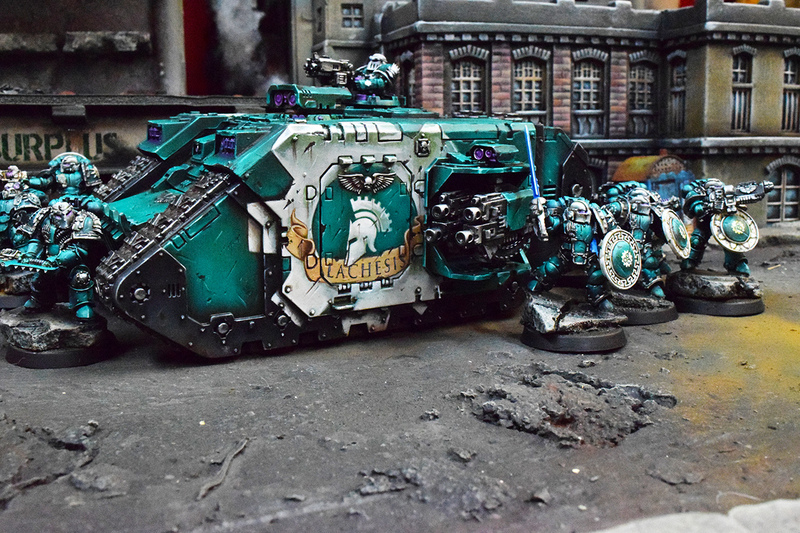 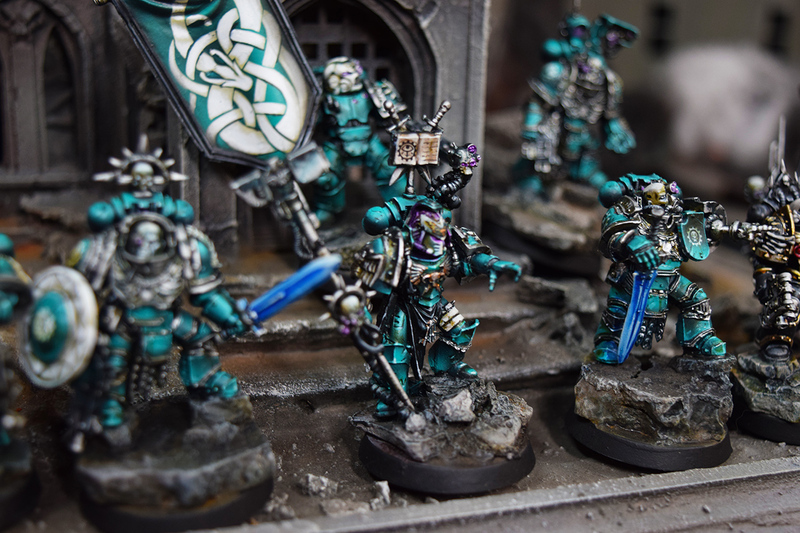 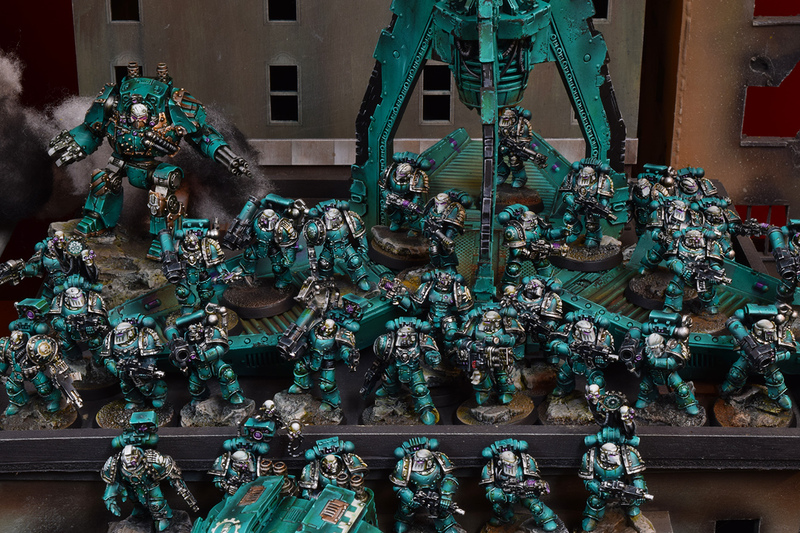 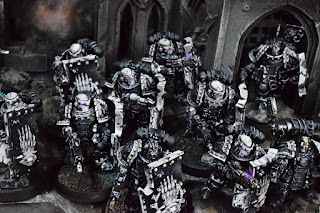 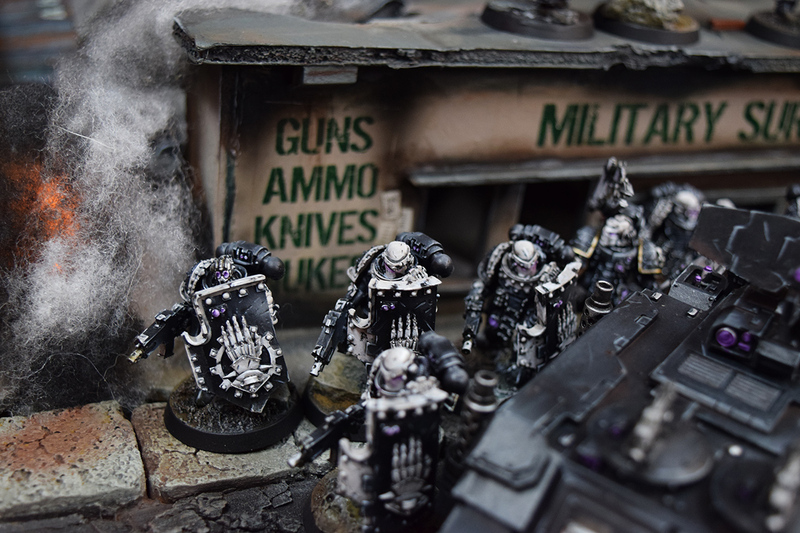 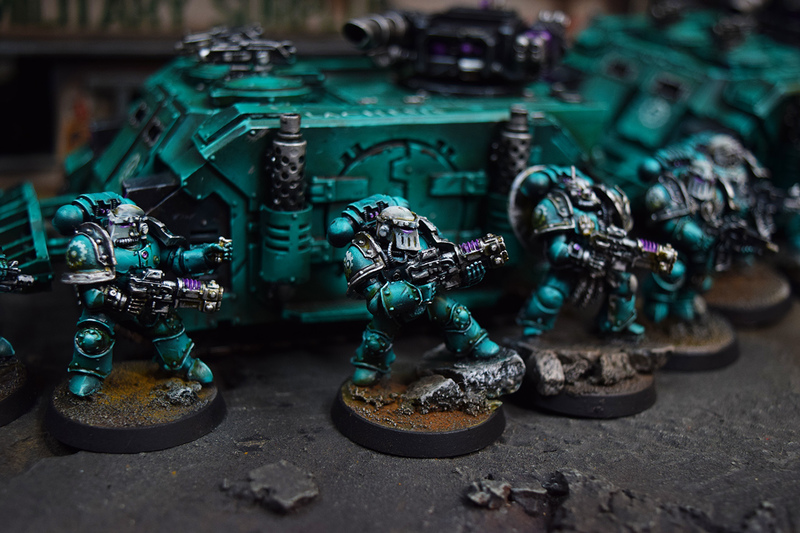 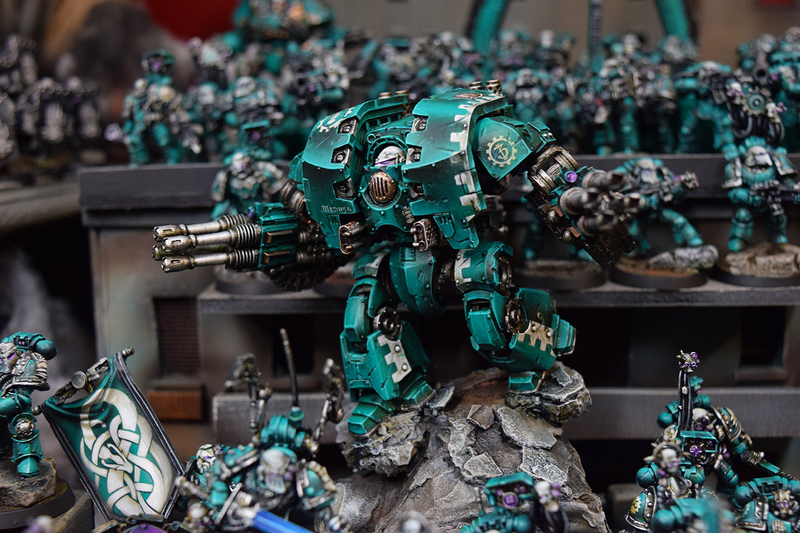 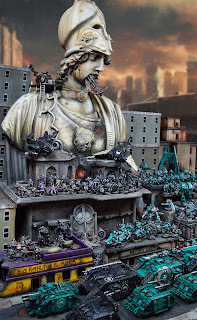 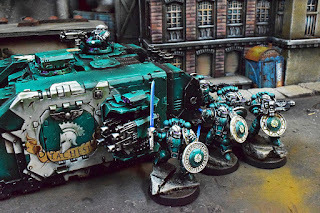 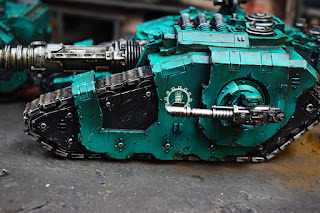 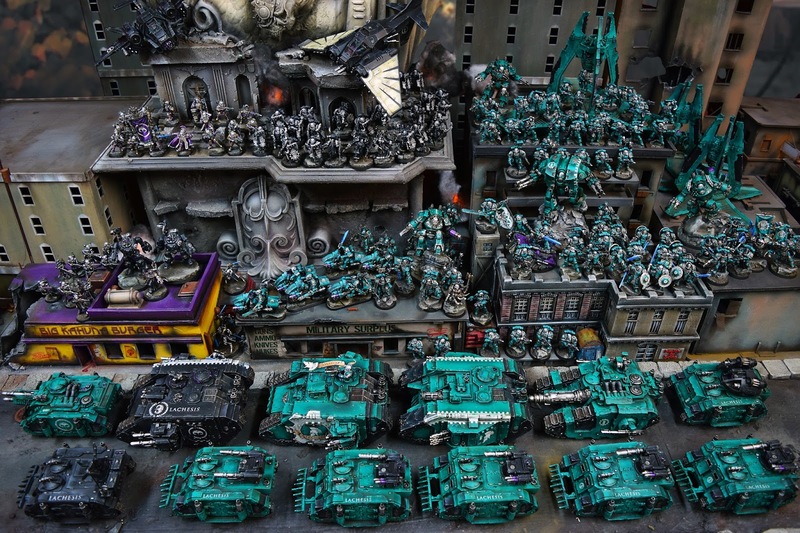 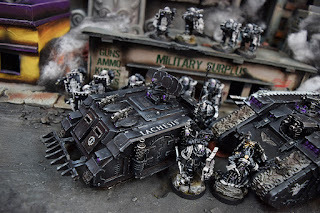 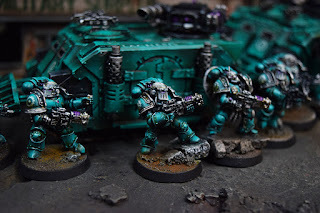 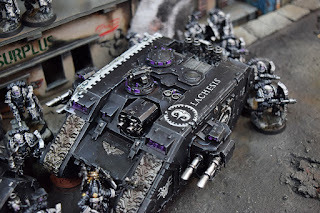 This army was really something special, from pulling in the background written by the client, to modelling the great preheresy armor, to the custom terrain to compliment the army in photos. 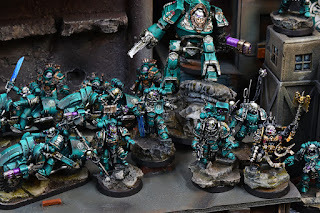 A real adventure and a little sad the ride is over, but it feels good to see the finished result, send out fresh pictures, and celebrate a bit. 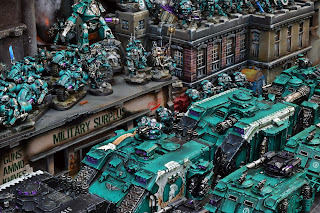 With that, see you soon with some behind the scenes of making the terrain, some new backdrops I am working on, and of course armies as far as the eye can see! 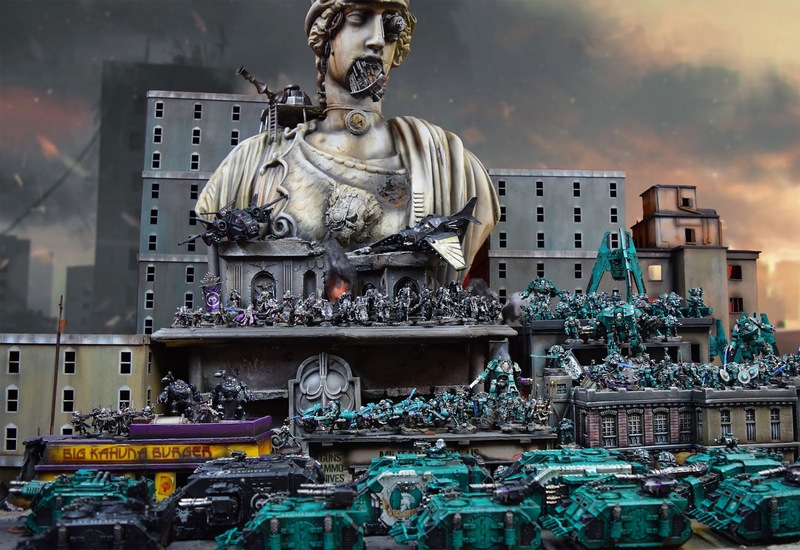 This is going to be a great summer.